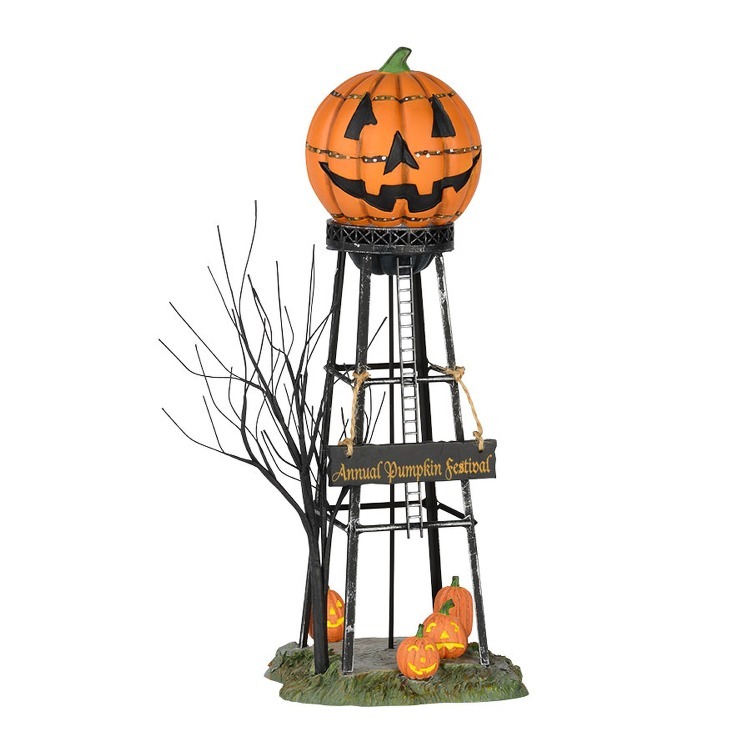 Greet this year’s trick-or-treaters in style or host a Halloween party that’s a big hit by decorating your home with Halloween decorations and gifts from Christmas Tree Hill. 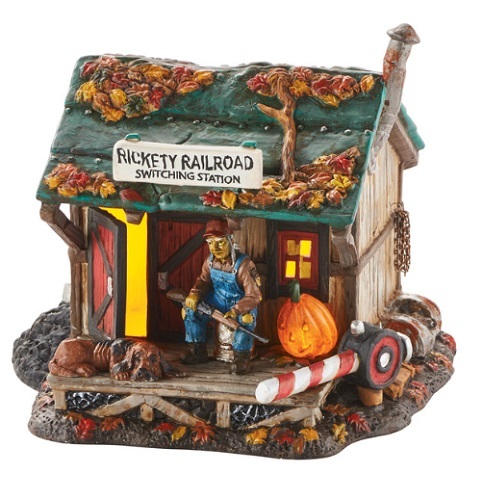 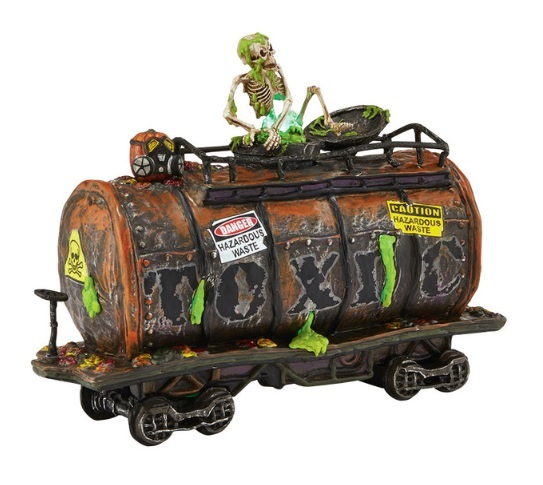 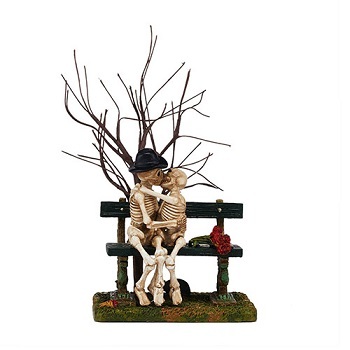 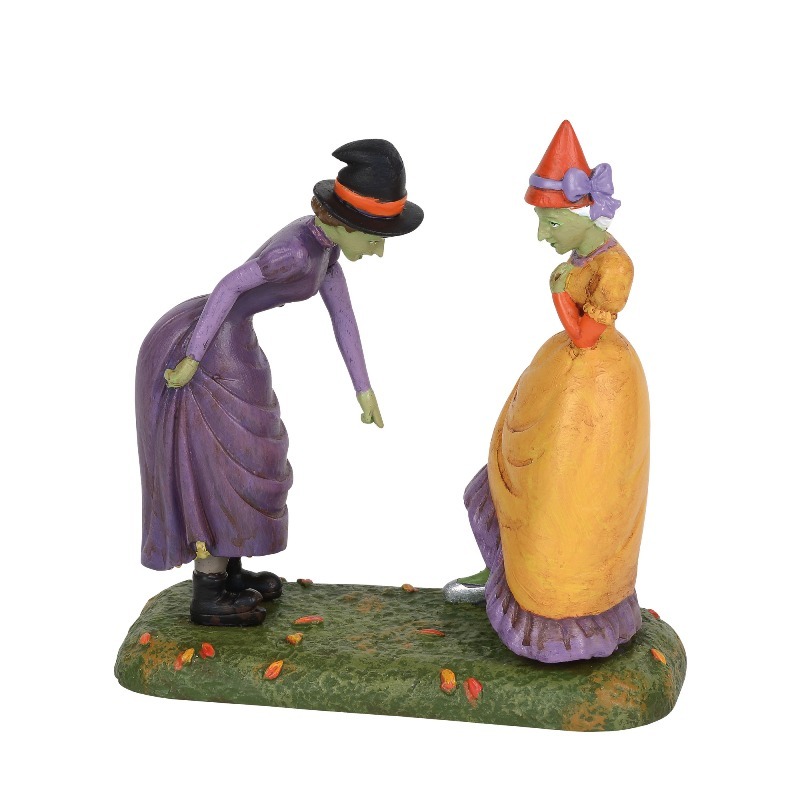 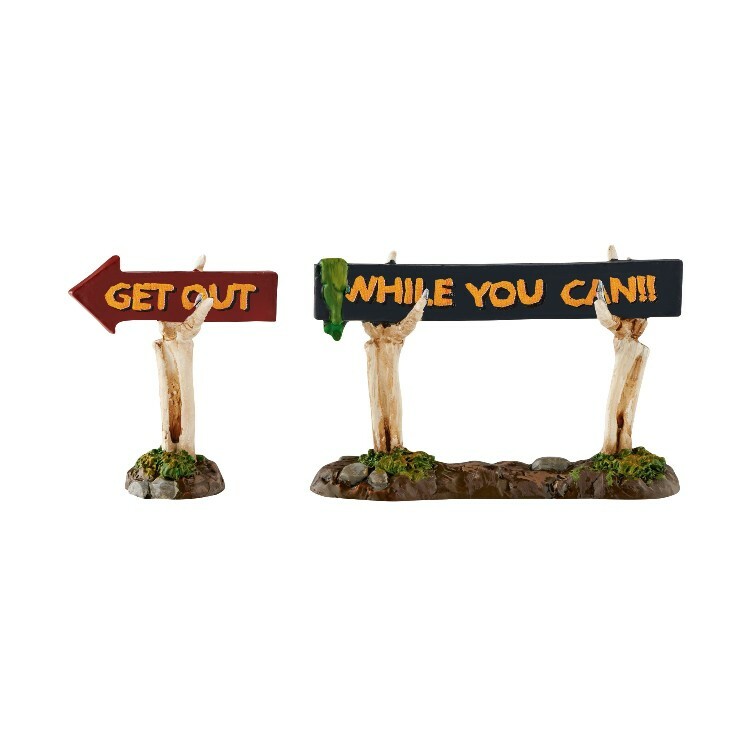 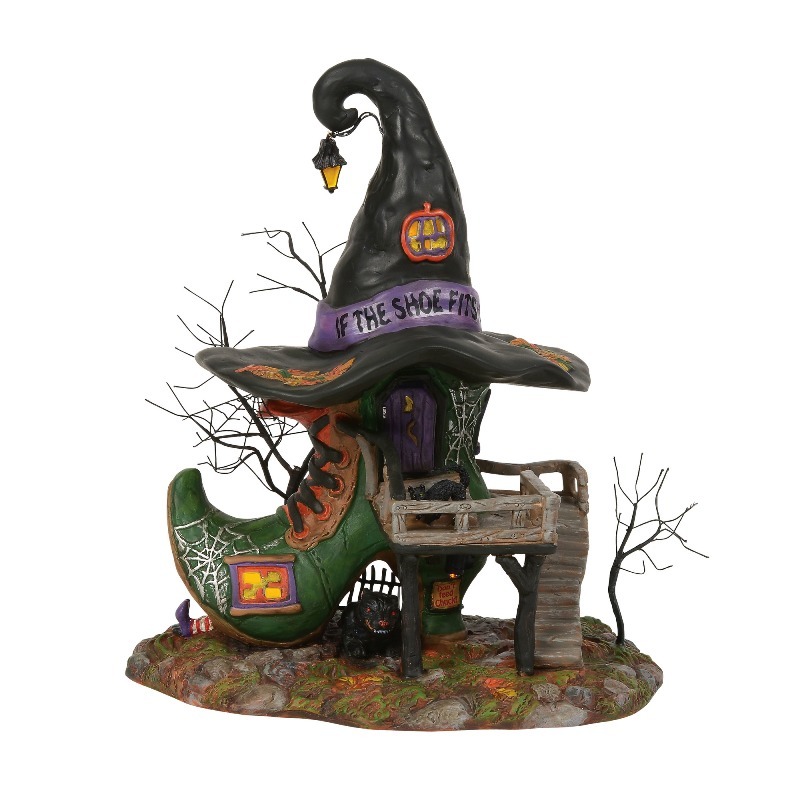 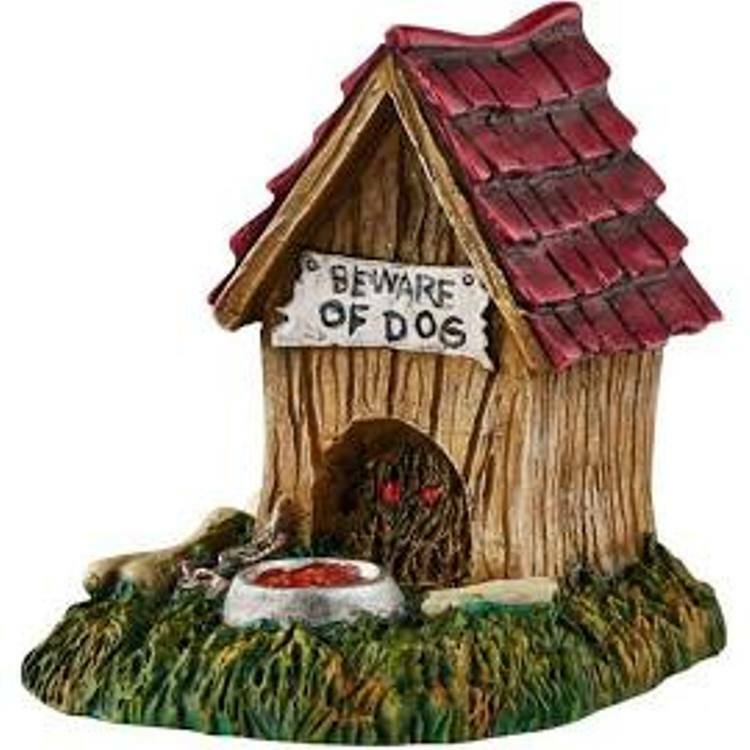 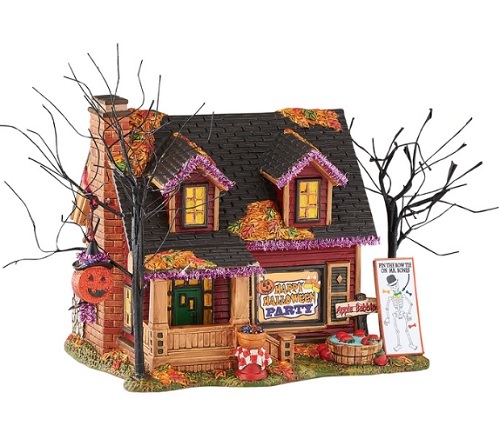 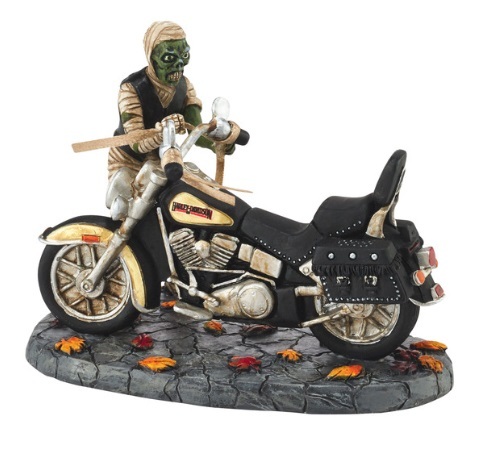 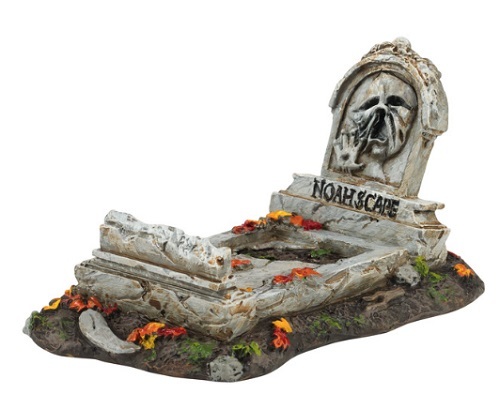 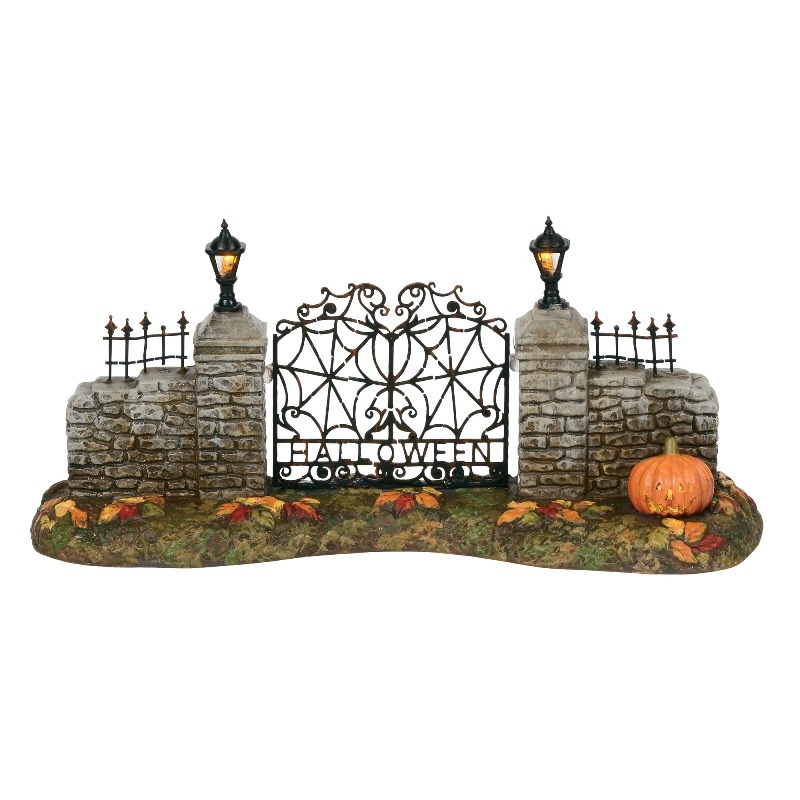 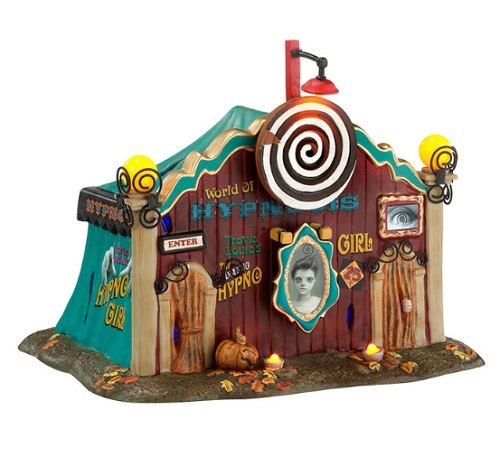 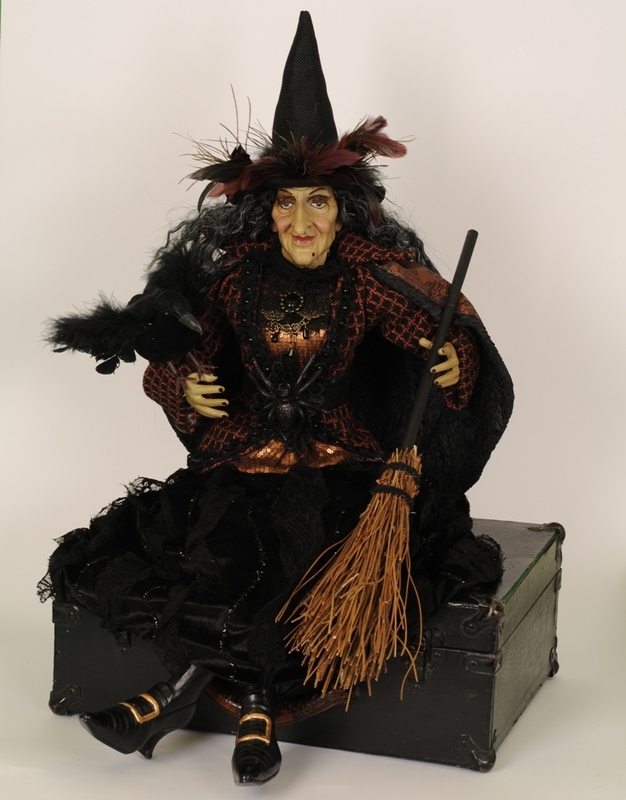 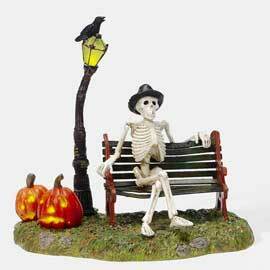 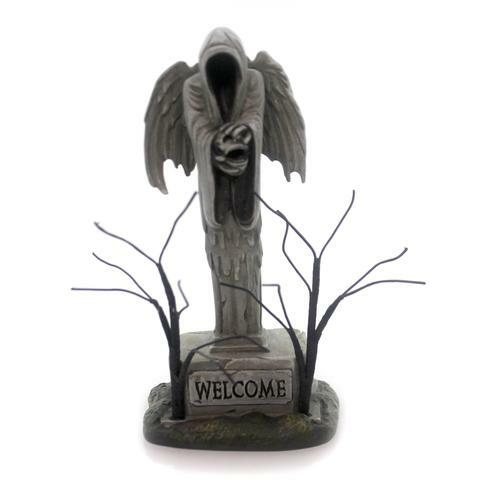 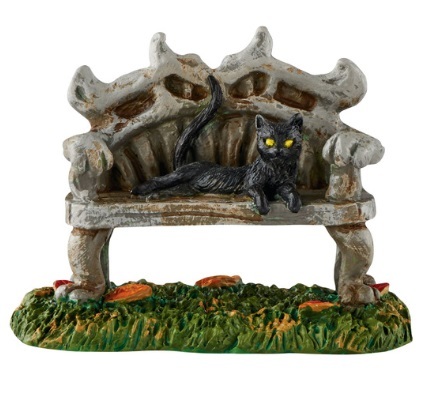 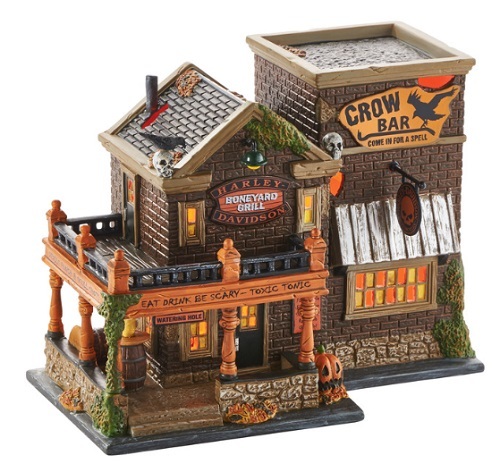 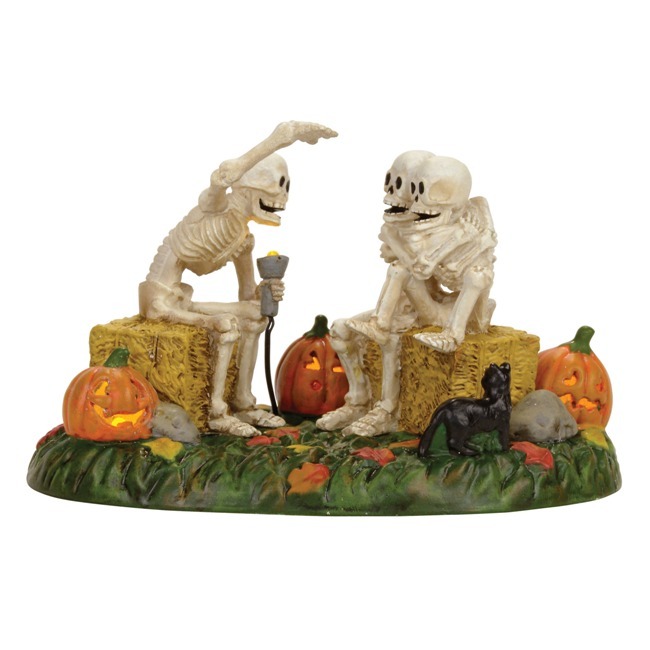 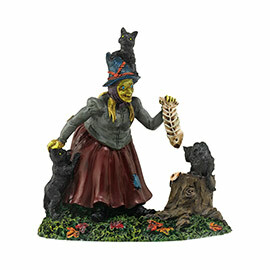 Our festive Halloween decor is suitable for all areas of your home, including your front porch on Halloween night. 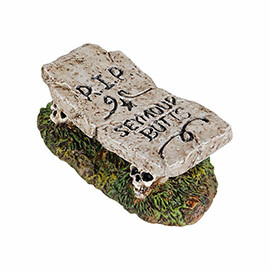 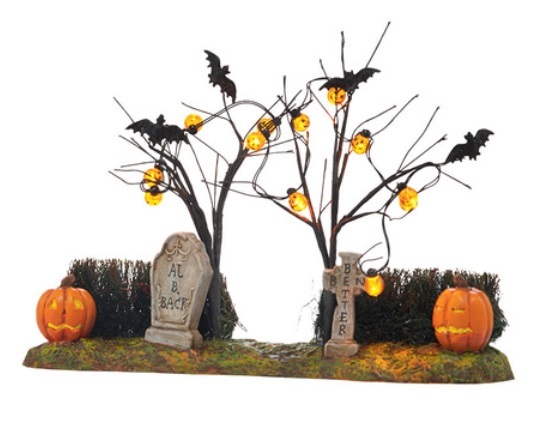 Add some spooky mood lighting with lamps and lights and adorn your walls and doors with hanging wall decor. 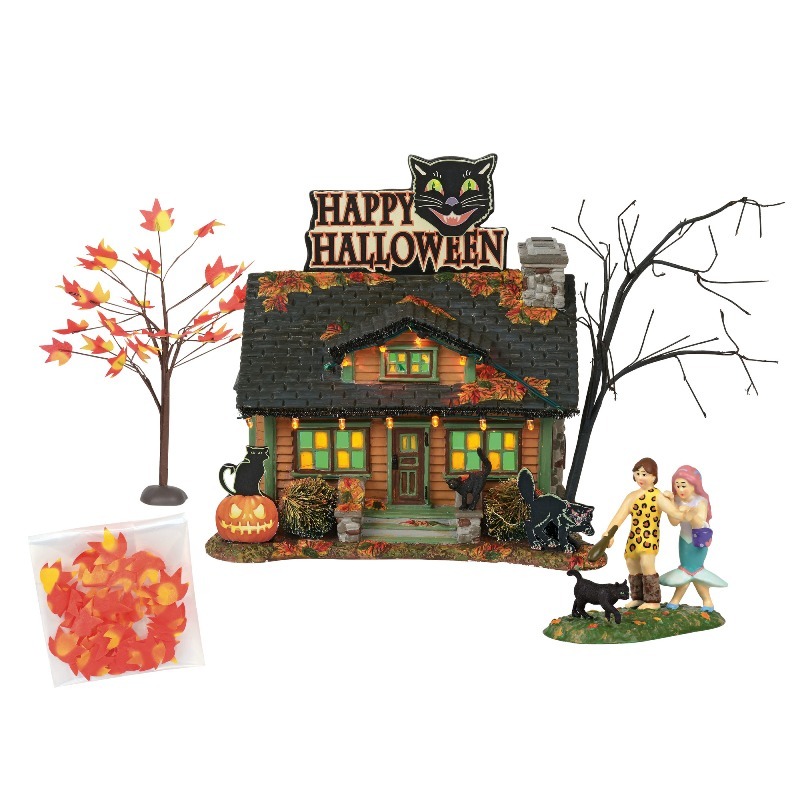 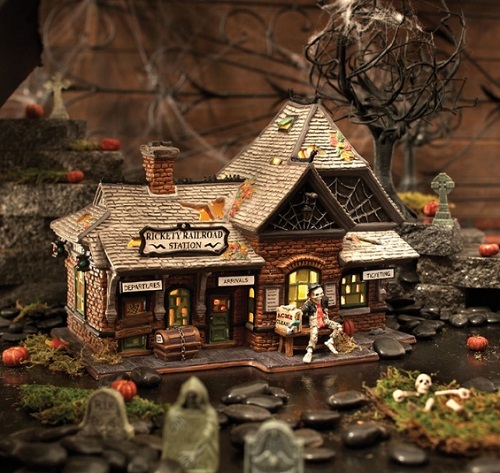 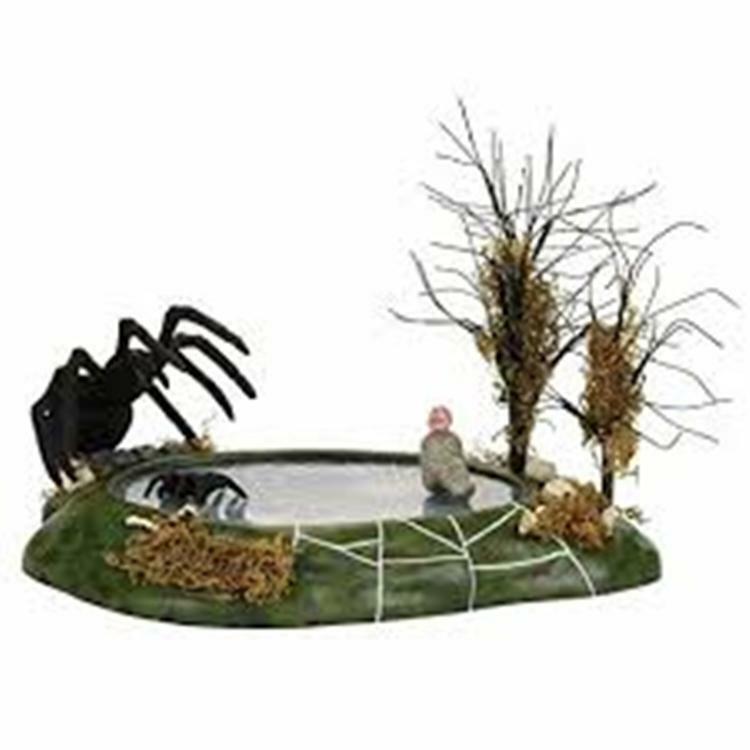 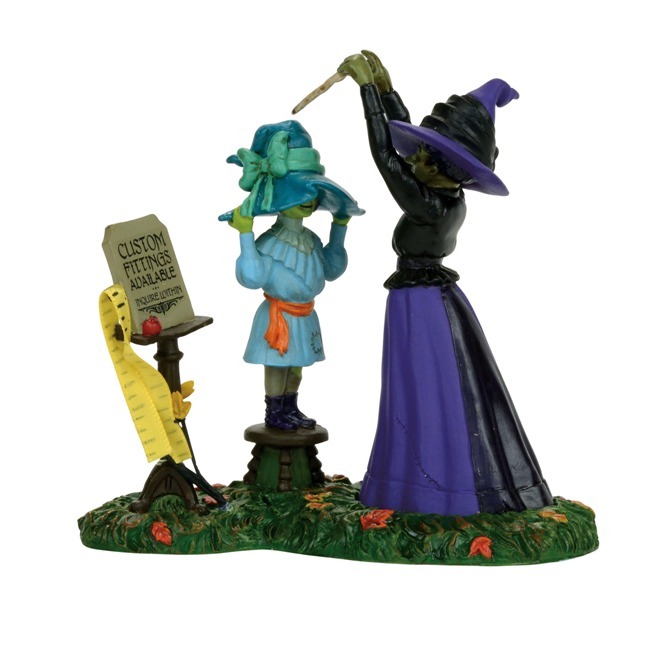 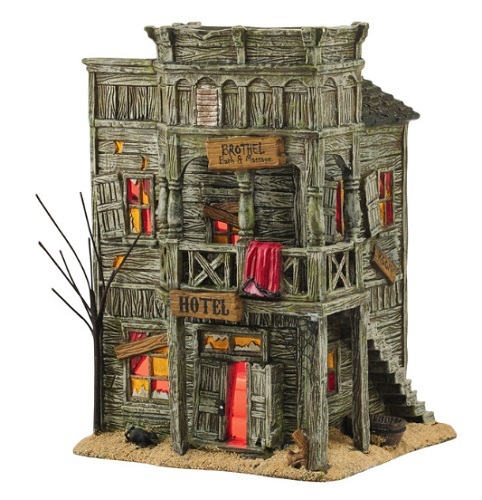 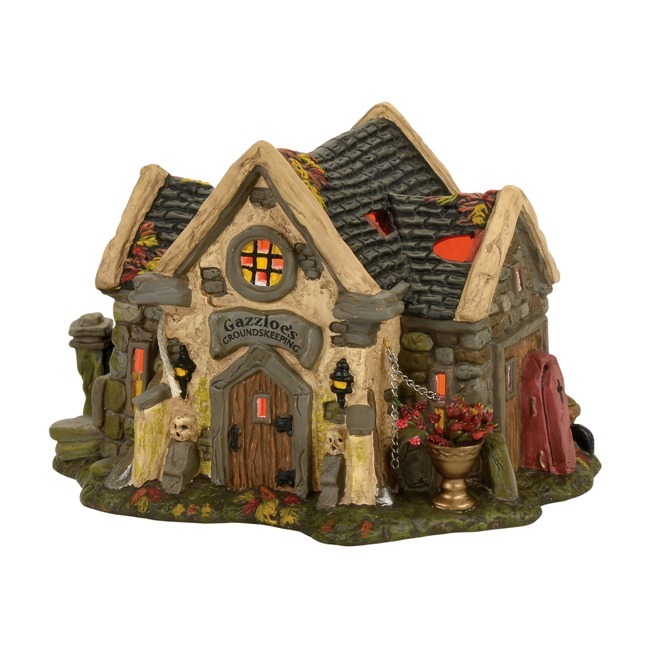 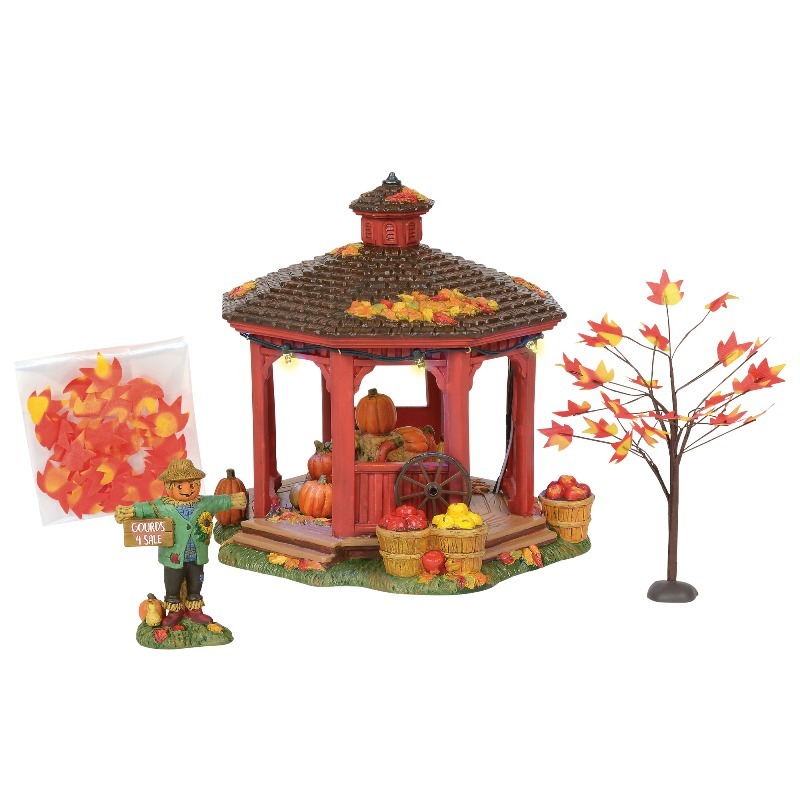 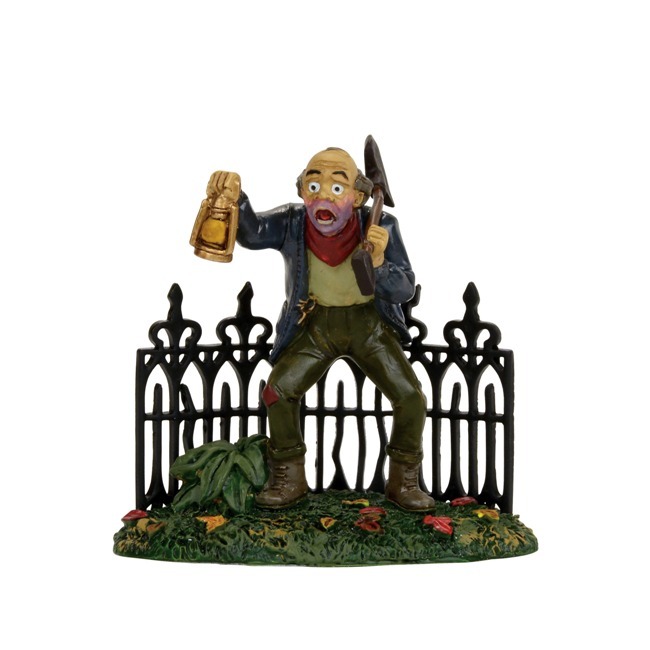 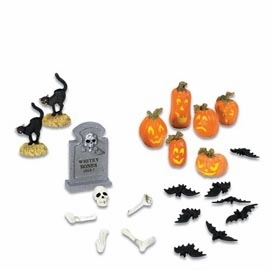 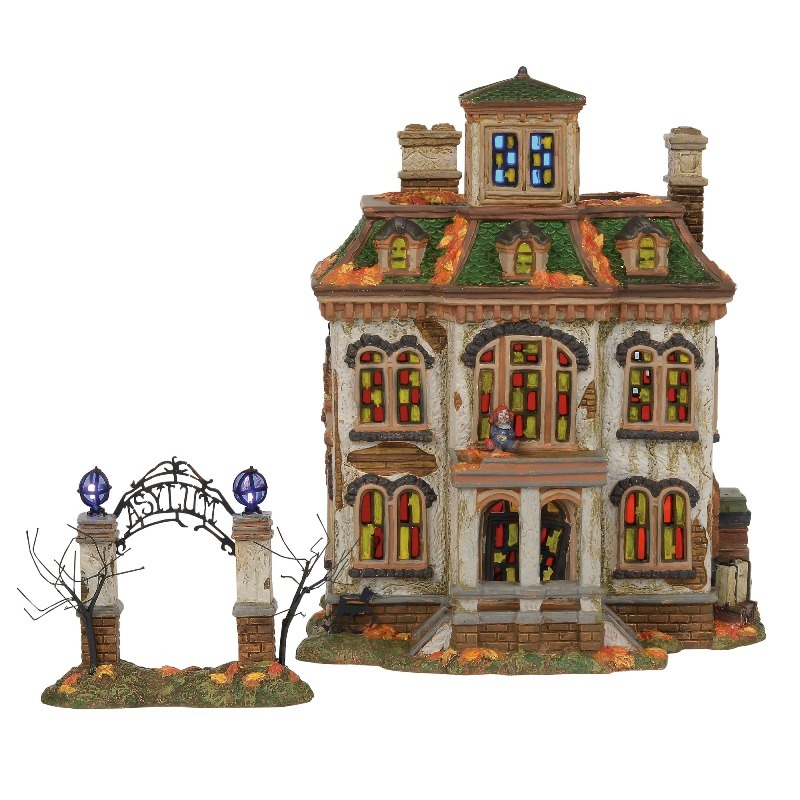 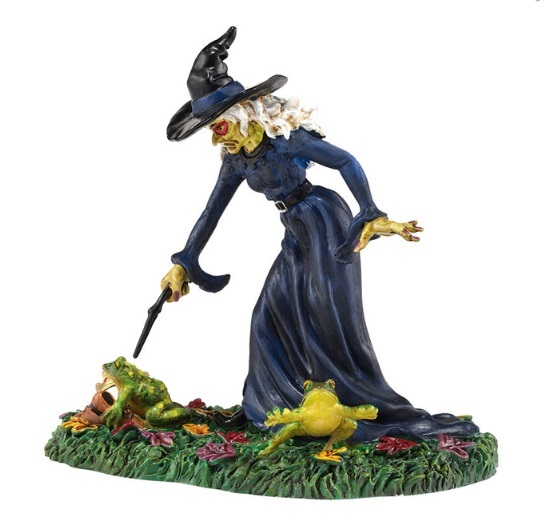 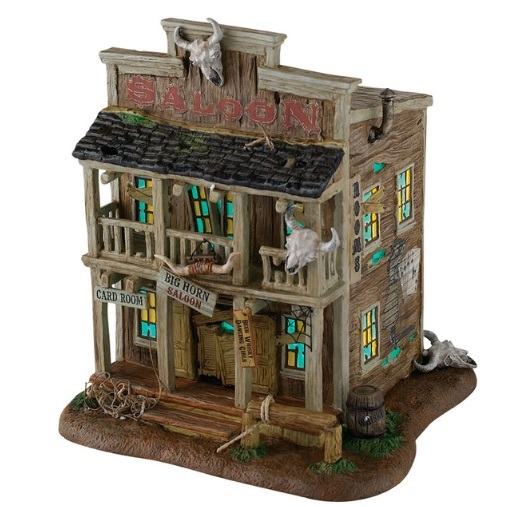 Add a bit of holiday cheer to each of your tabletops with an assortment of Halloween figurines or create your very own Halloween village. 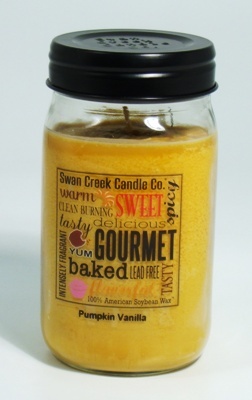 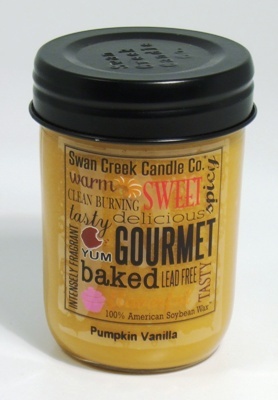 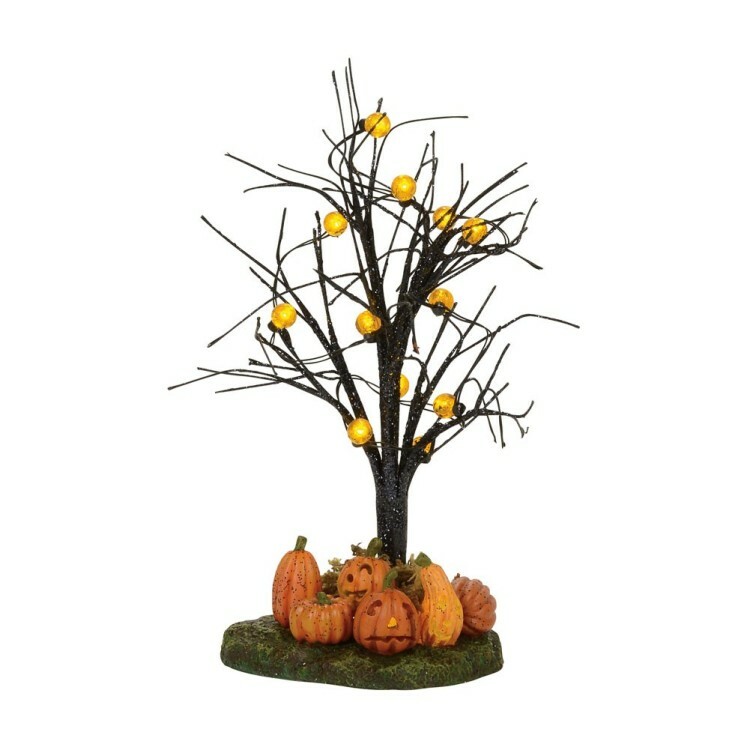 Finally, add a special holiday touch to your home with fall linens and scented candles. 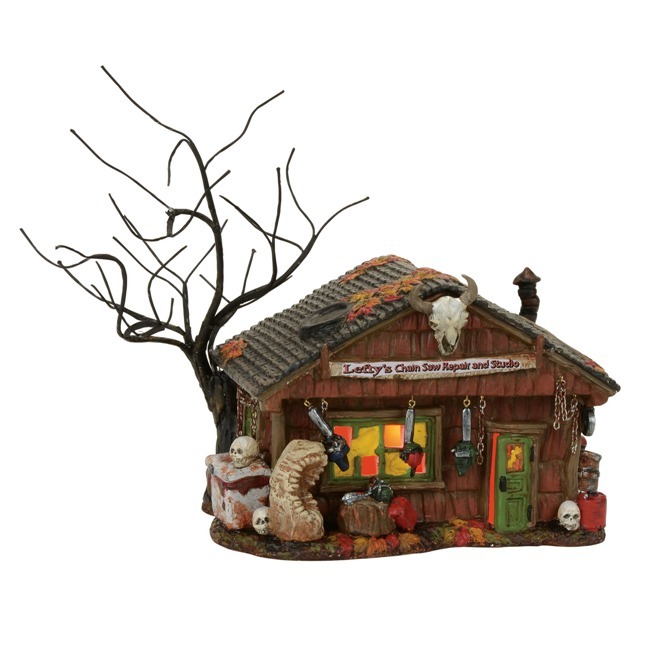 Department 56 Halloween Village - "Lefty's Chain Saw Repair"
Department 56 Halloween Village - "Lefty's Passion"
Department 56 Halloween Village - "Poe's Perch Aviary"
Department 56 Halloween Village - "Scary Skeleton Stories"
Department 56 Halloween Village - "The Skeleton House"
Department 56 Halloween Village - "Hattie's Hat Shop"
Department 56 Halloween Village - "Hattie's Hats Custom Fitted"
Department 56 Halloween Village - "The Haunted Cemetary Shed"
Department 56 Halloween Village - "Lit Graveyard Ghost"
Department 56 Halloween Village - "Scary Gravedigger"
Department 56 Halloween Village - "The Makings For A Sordid Evening"
Department 56 Halloween - "Ouija The Mystifying Oracle"
Department 56 Halloween - "Scary Ghost Hauler"
Department 56 Halloween - "Ghastly's Haunted Villa"
Department 56 Halloween - "Halloween Party House"
Department 56 Halloween - "Witch Way Home Tower"
Department 56 Halloween - "Harley-Davidson's Last Chance"
Department 56 Halloween - "Sweet Trappings Cottage"
Department 56 Halloween - "Harley® Crow Bar"
Department 56 Halloween - "Last Chance Hotel"
Department 56 Halloween - "Roadkill Grill"
Department 56 Halloween - "Hackmann's Blacksmith Shop"
Department 56 Halloween - "The Haunted Church"
Department 56 Halloween - "Toads & Frogs Witchcraft Haunt"
Department 56 Halloween - "Dolly's World Of Hypnosis"
Department 56 Halloween - "Big Horn Saloon"
Department 56 Halloween - "Creepy Clown Car"
Department 56 Halloween - "Toxic Waste Car"
Department 56 Halloween - "Haunted Rails CaBOOse"
Department 56 Halloween - "Haunted Rails Outpost"
Department 56 Halloween - "Rickety Railroad Station"
Department 56 Halloween - "Foggy Point Platform"
Department 56 - Halloween Accessory -"No Hocus Pocus Here"
Department 56 - Halloween Accessory -"Party For Treats"
Department 56 - Halloween Accessory -"Pimpin' My Ride"
Department 56 - Halloween Accessory -"Witch Trap"
Department 56 - Halloween Accessory -"Black Cat Bench"
Department 56 - Halloween Accessory -"Noah Scape Grave"
Department 56 - Halloween Accessory -"Forced Fit"
Department 56 - Halloween Accessory -"Full Moon Ride"
Department 56 - Halloween Accessory -"Kiss Of Death"
Department 56 - Halloween Accessory -"Creepy Creatures Croak"
Department 56 - Halloween Accessory -"Black Cat Snack"
Department 56 - Halloween Accessory -"Ghost Rider On The Road"
Department 56 - Halloween Accessory -"Headless Harley® Rider"
Department 56 - Halloween Accessory -"Halloween Town Tree"
Department 56 - Halloween Accessory -"Boneyard Bench"
Department 56 - Halloween Accessory -"Boneyard Mailbox"
Department 56 - Halloween Accessory -"Jack-O-Lantern Yard"
Department 56 - Halloween Accessory -"Haunted Hearse"
Department 56 - Halloween Accessory -"Another Prince Croaks"
Department 56 Halloween Accessory - "Crow Creek Covered Bridge"
Department 56 Halloween Accessory - "AC/DC Adapter - Black"
Department 56 Halloween Accessory - "Single Cord with Bulb - Black"
Department 56 Halloween Accessory - "Purple/Orange 3V Replacement Bulbs - Set of 2"
Department 56 Halloween - "The Headless Horseman"
Department 56 Halloween - "Halloween Yard Decorations"
Department 56 Halloween - "Tombstones"
Department 56 Halloween - "Gothic Gate"
Department 56 Halloween - "Halloween Orange Twinkle Brite Tree"
Department 56 Halloween Accessory - "Resting My Bones"
Department 56 Halloween Accessory - "Village Replacement Bulbs - Blue/Green"
Department 56 Village Accessory - "Replacement Light Bulbs, Orange & Purple"
Department 56 Halloween Accessory - "Village Replacement Lightning Bulbs"
Department 56 Halloween Accessory - "Halloween Water Tower"
Department 56 Halloween Accessory - "Purple Twinkle Bright Tree"
Department 56 Village Accessory - "Woodland Koi Pond"
Department 56 Halloween Accessory - "Angel Of Death"
Department 56 Halloween Accessory - "Creepy Creatures Dog House"
Department 56 Halloween Accessory - "Boneyard Spooky Signs"
Department 56 Halloween Accessory - "Halloween Ravens"
Department 56 Snow Village Halloween - "Glares And Stares House"
Department 56 Halloween Accessory - "Murder Of Crows Tree"
Department 56 Halloween Village - "Rest In Peace 2017"
Department 56 Halloween Village - "The Beast"
Department 56 Halloween Accessory - "The Beast Master"
Department 56 Halloween Accessory - "Halloween Multi-Color Tree"
Department 56 Halloween Accessory - "Lit Jack-O-Lantern Tree"
Department 56 Halloween Accessory - "Creepy Craggy Tree"
Department 56 Halloween Accessory - "Haunted Spider Tree"
Department 56 Halloween Accessory - "Hangmen Skeletons"
Department 56 Halloween Accessory - "Toad Fountain"
Department 56 Halloween Accessory - "Animated Nightmare"
Department 56 Halloween Accessory - "Fortunato The Vulture Trainer"
Jim Shore Figurine - "Sandy Claus - The Nightmare Before Christmas"
Jim Shore Figurine - "Pint Sized Owl on Crescent Moon Figurine"
Christopher Radko Glass Ornament - "Frightful Glow"
Halloween Ornament - "Trick Or Treat"
Halloween Ornament - "Happy Halloween"
Decorative Box Sign - "Flip My Witch Switch.. 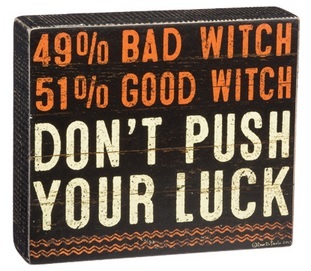 Box Sign"
Decorative Box Sign - "Don't Push Your Luck... 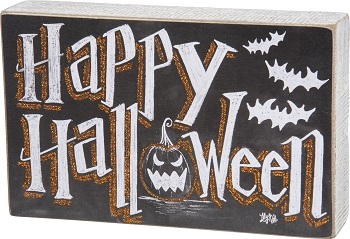 Box Sign"
Decorative Box Sign - "Happy Halloween... 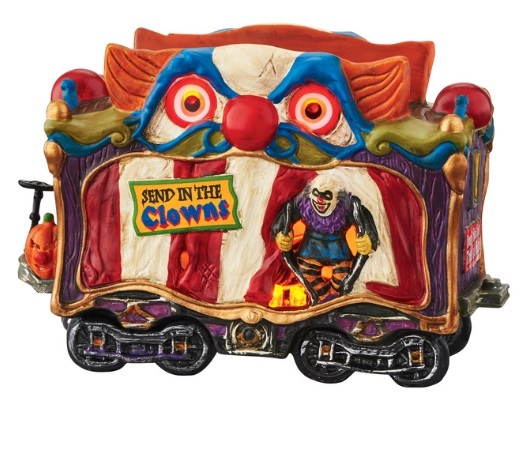 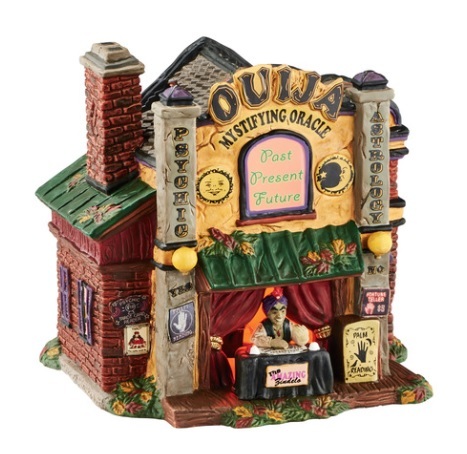 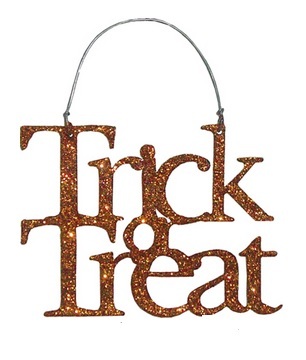 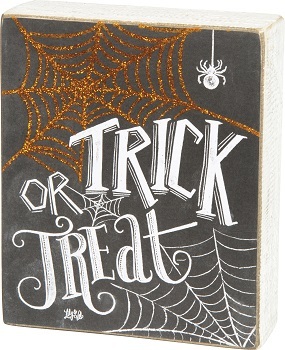 Box Sign"
Decorative Box Sign - "Trick Or Treat... 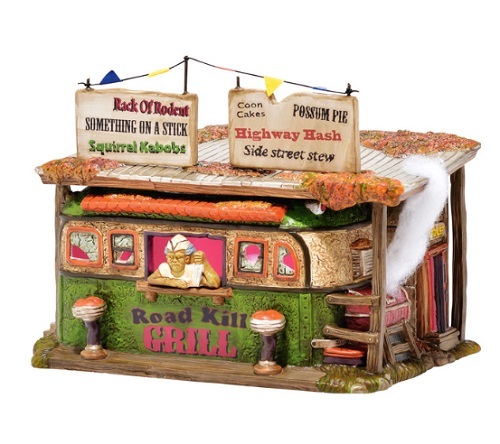 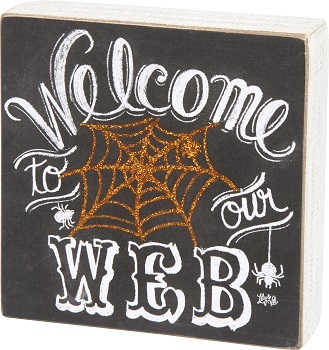 Box Sign"
Decorative Box Sign - "Welcome To Our Web... 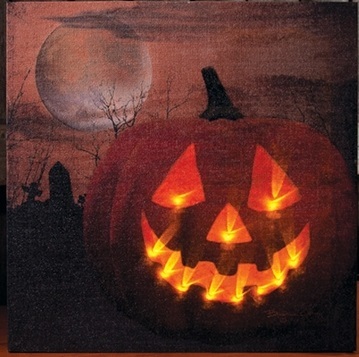 Box Sign"
Electric Light - "Lighted Sinister Pumpkin"
Electric Light - "Lighted Skull"
Kitchen Towel - "Drink Up Witches Kitchen Towel"
Swan Creek 24oz Jar Candle - "Pumpkin Vanilla"
Swan Creek 12oz Jar Candle - "Pumpkin Vanilla"
Each small decoration adds up to a stunningly festive home when you display them all together. 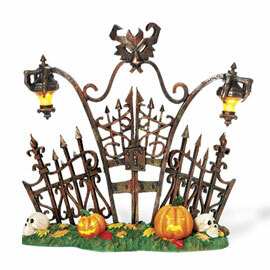 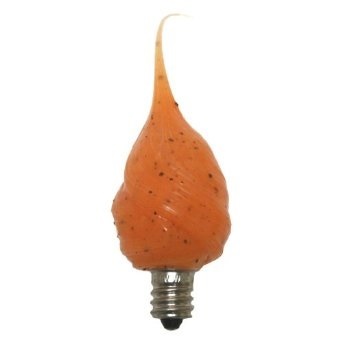 The smallest details, such as Halloween-themed light bulbs, can help your decor rise above the rest. 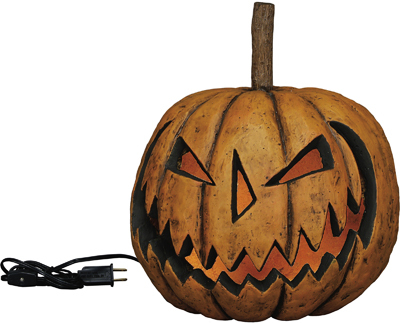 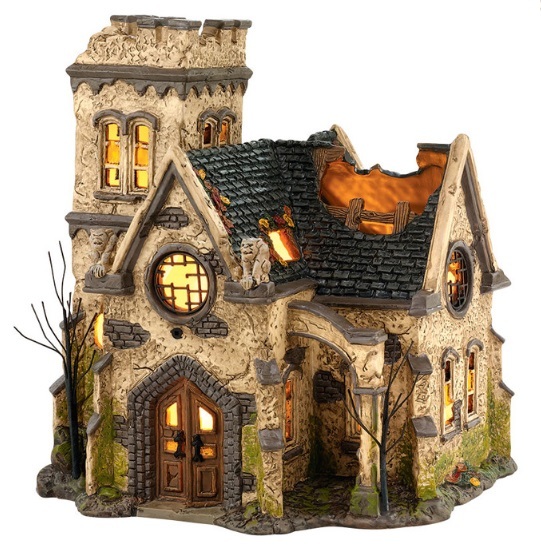 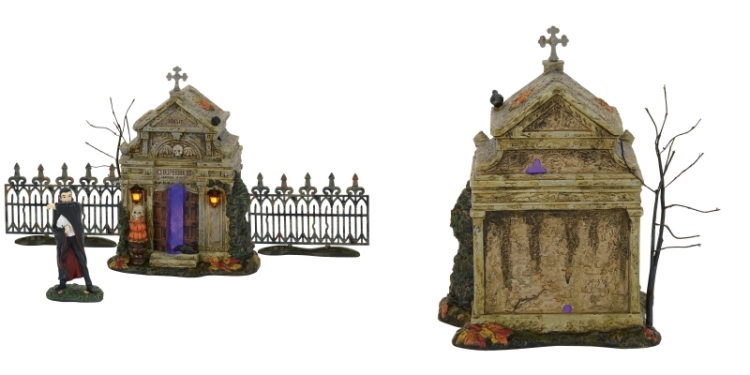 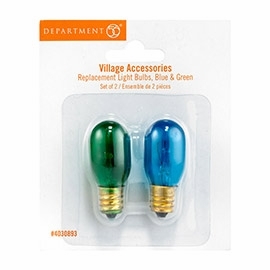 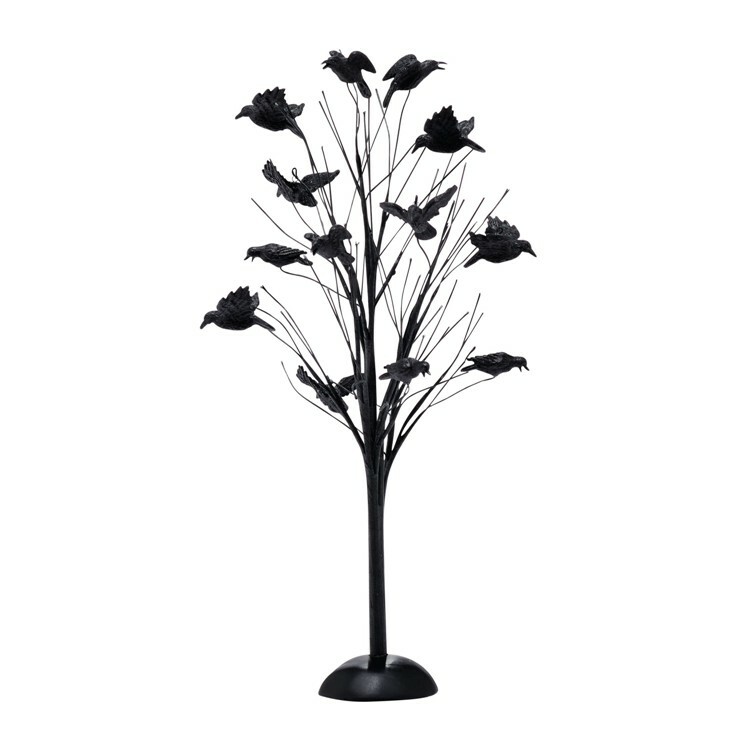 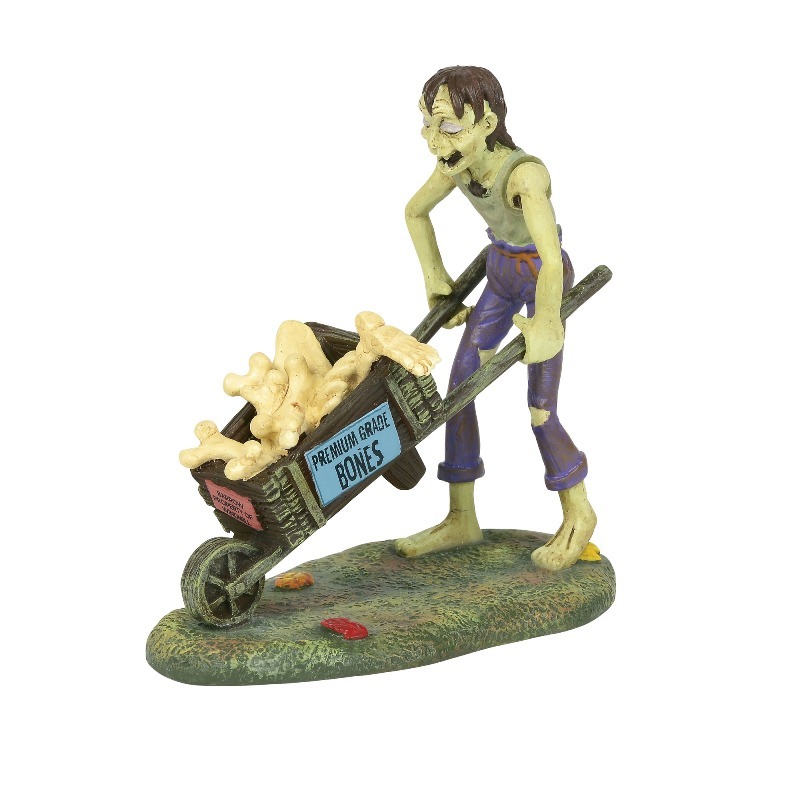 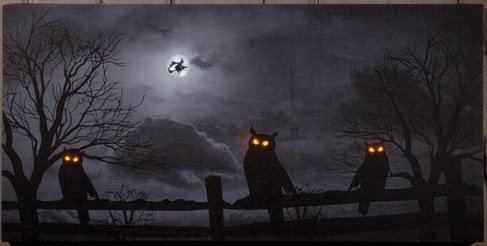 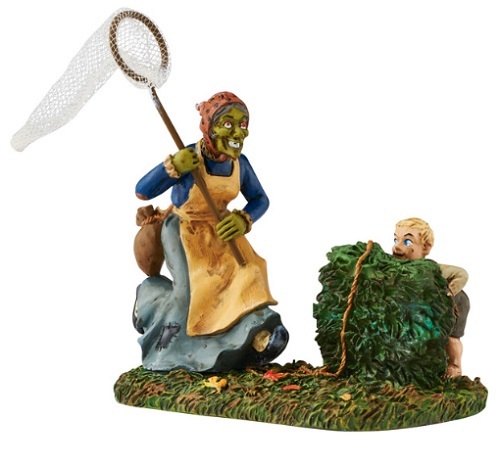 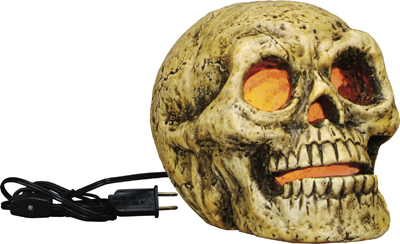 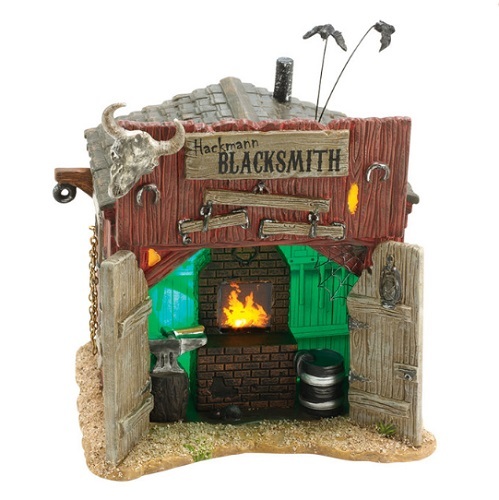 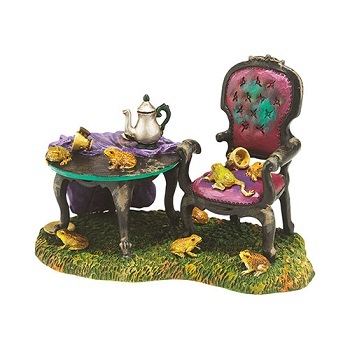 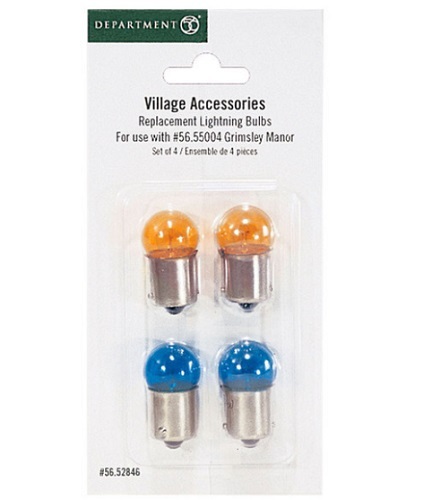 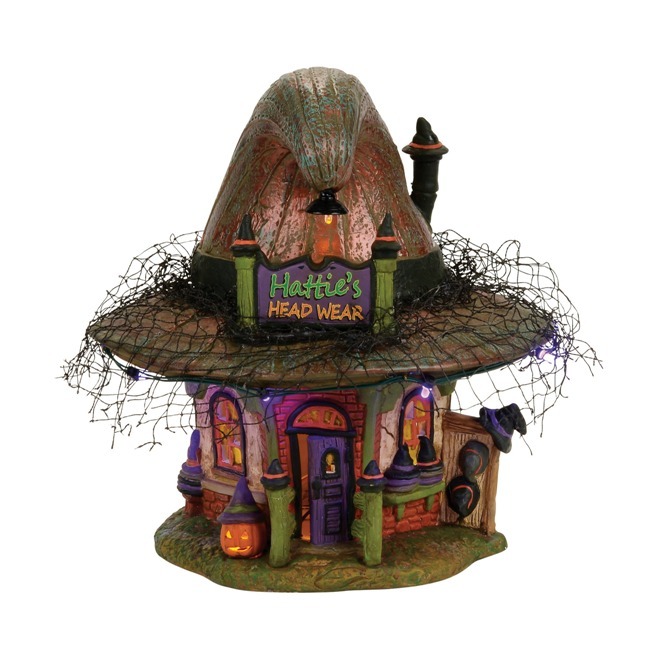 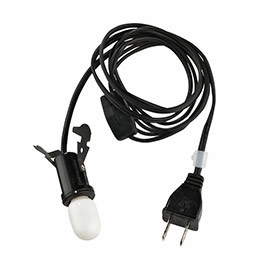 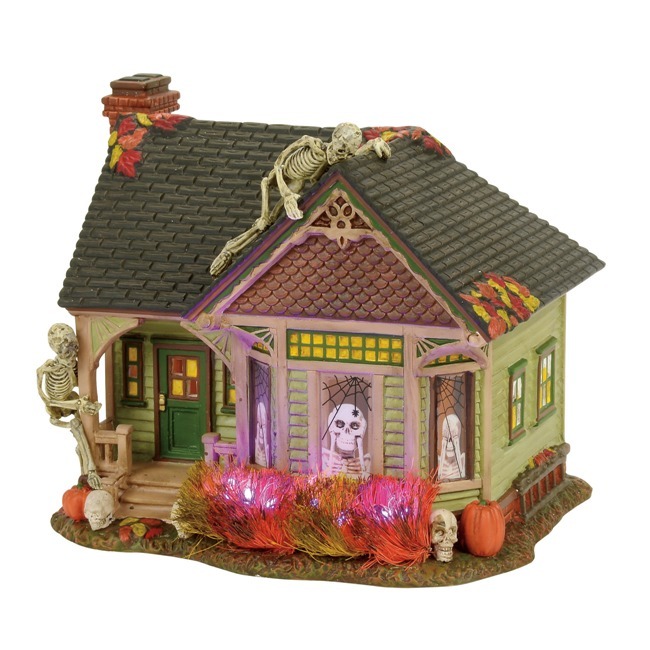 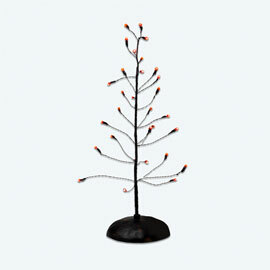 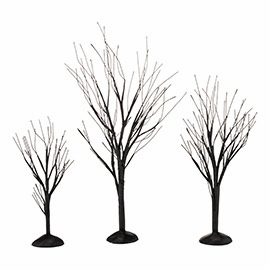 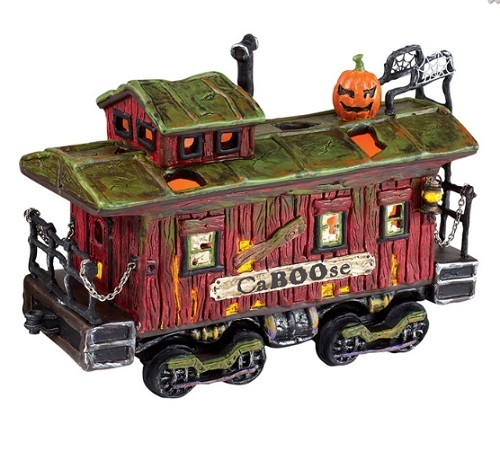 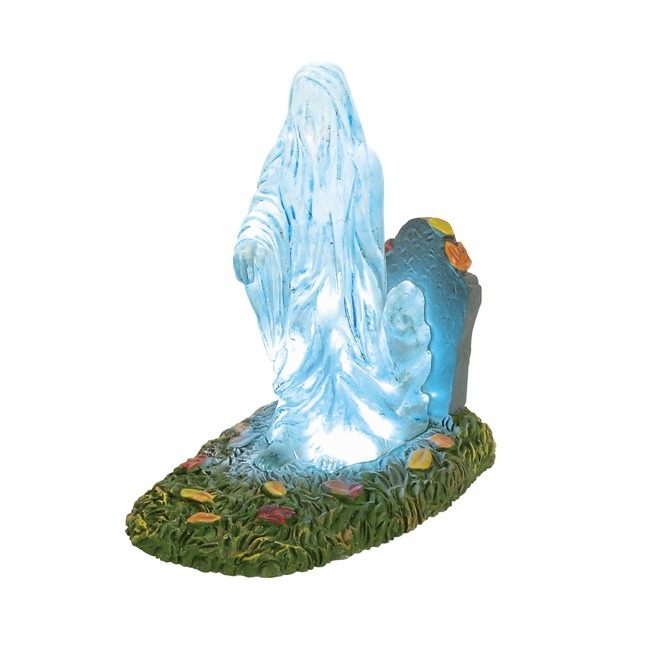 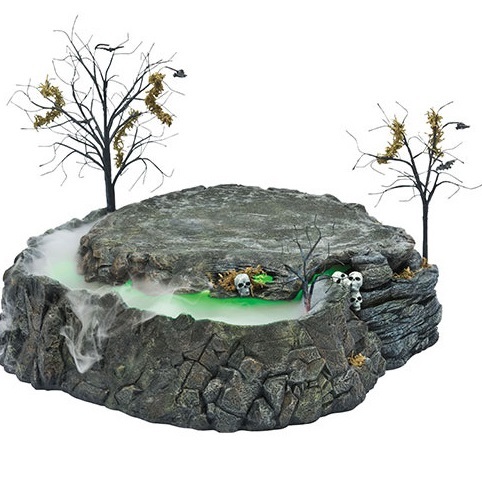 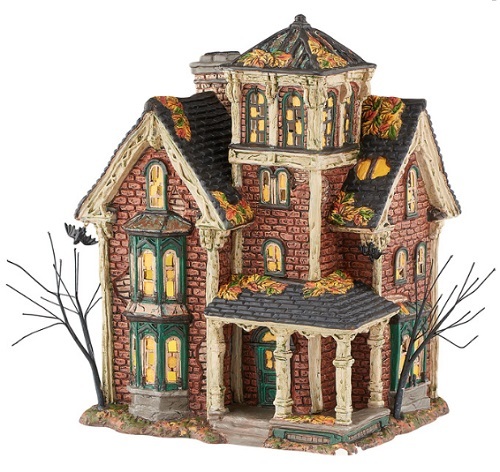 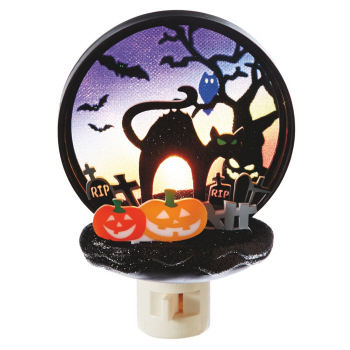 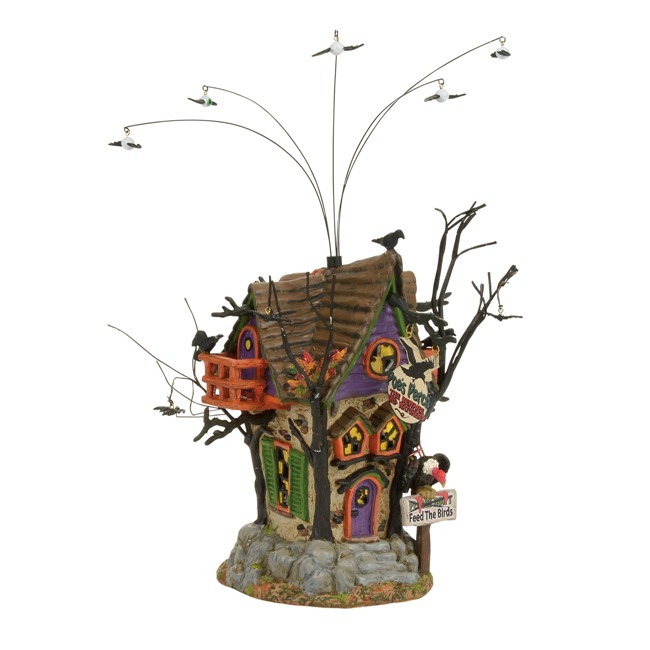 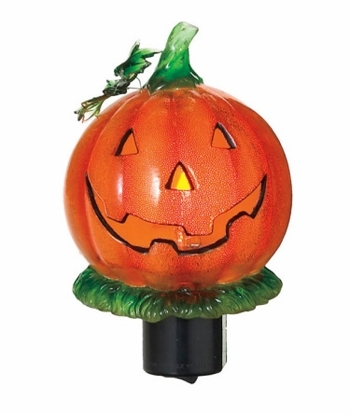 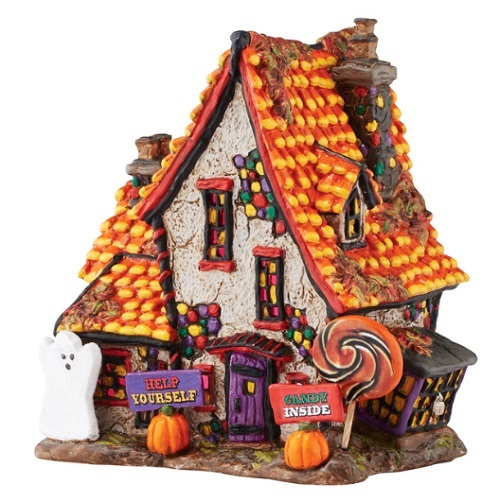 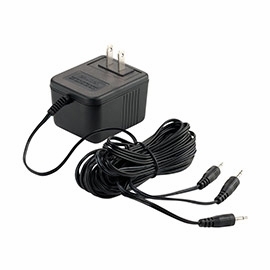 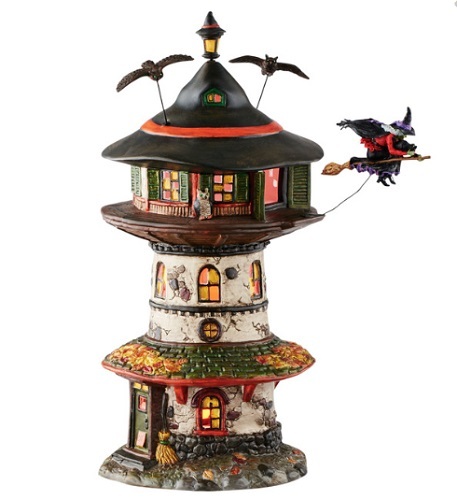 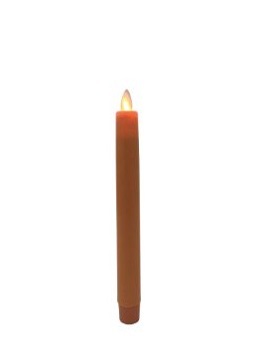 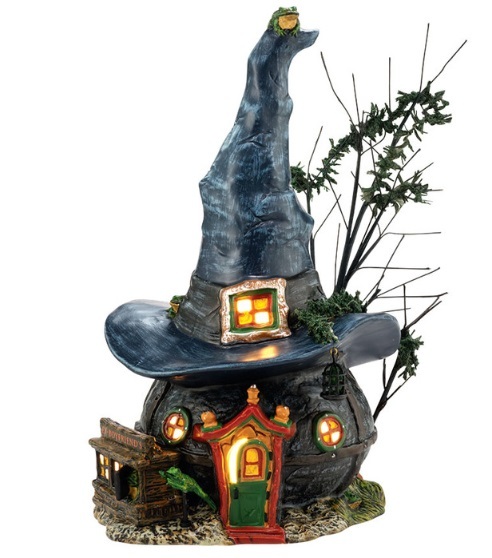 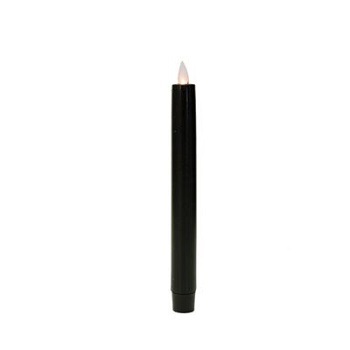 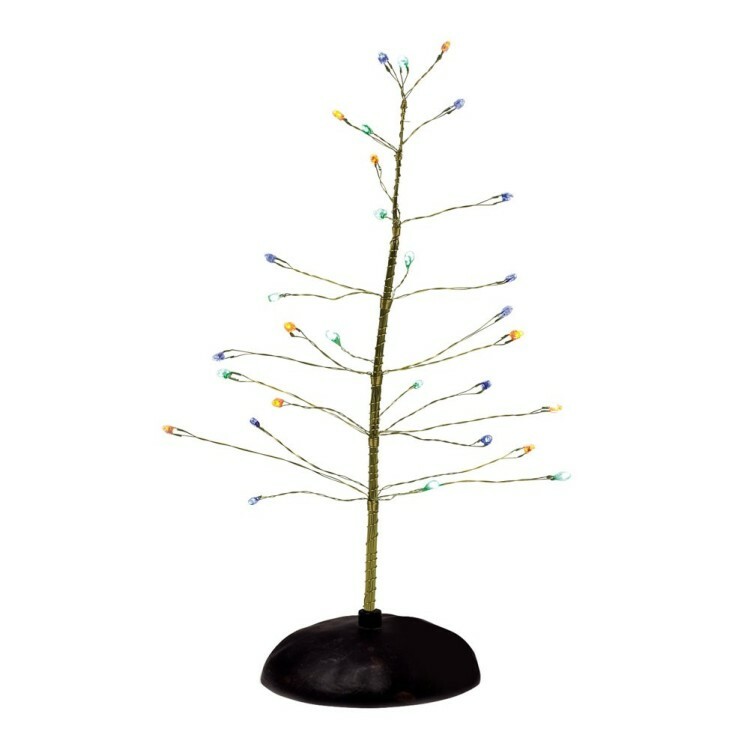 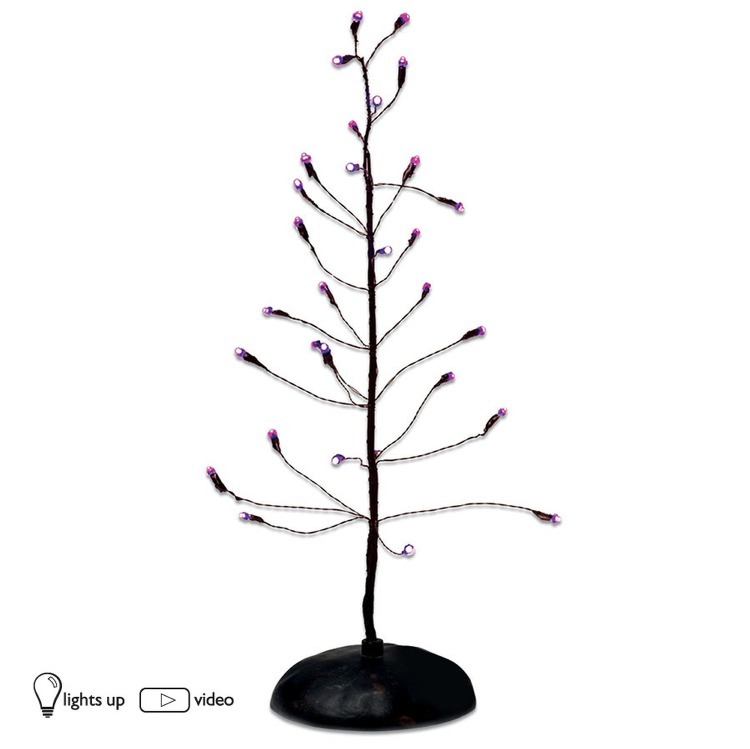 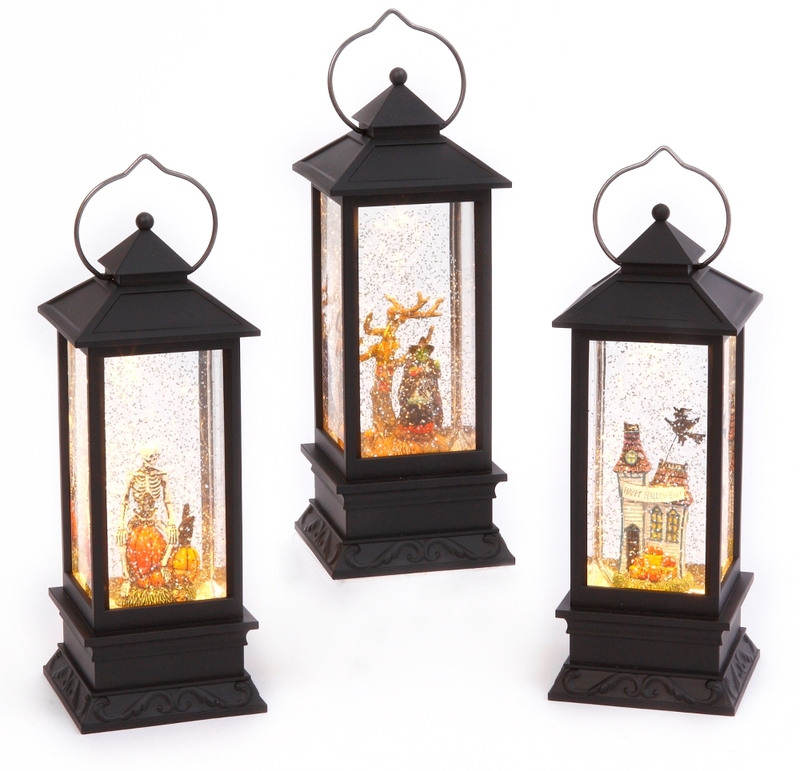 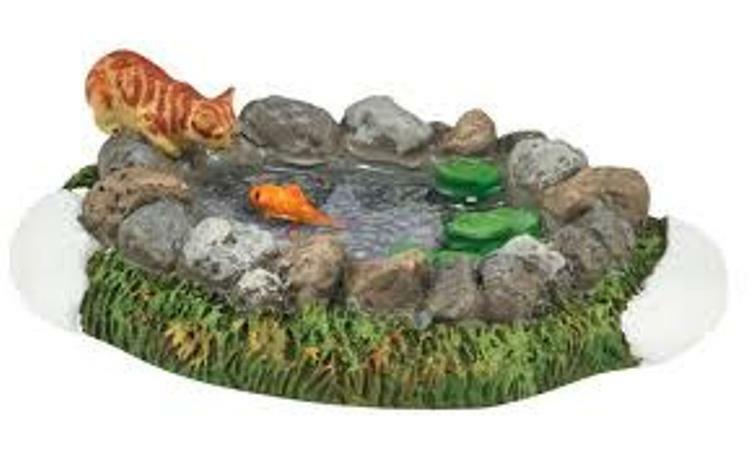 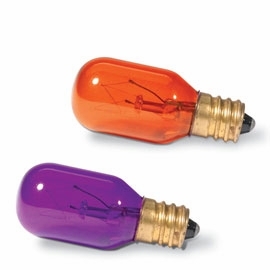 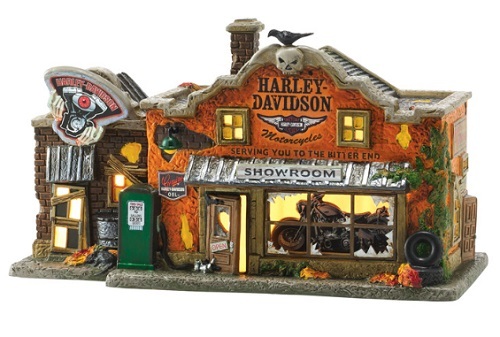 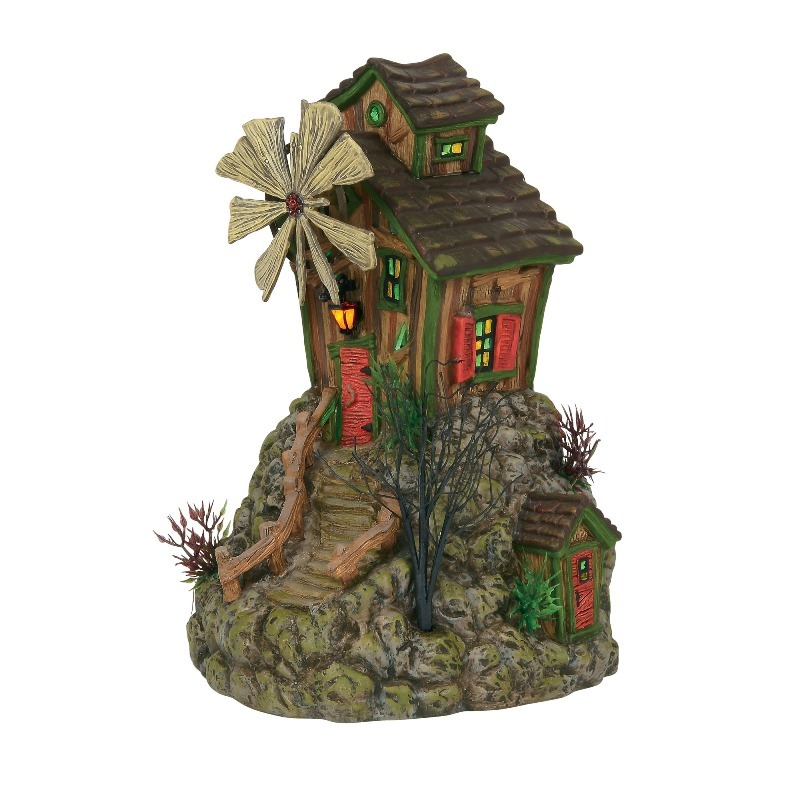 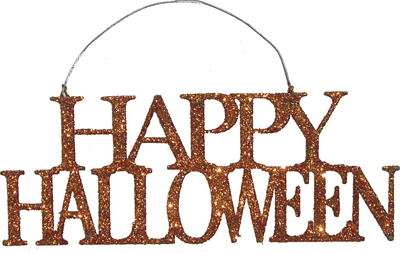 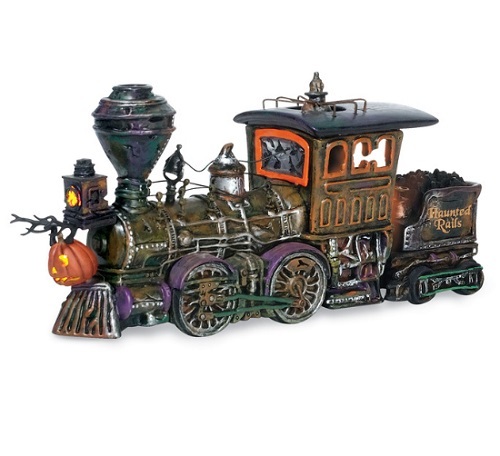 Add small decorative details to any room with Halloween night-lights. 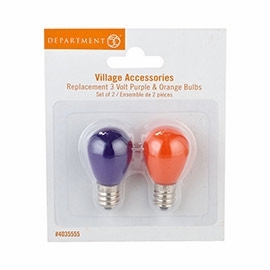 These work especially well for families with small children. 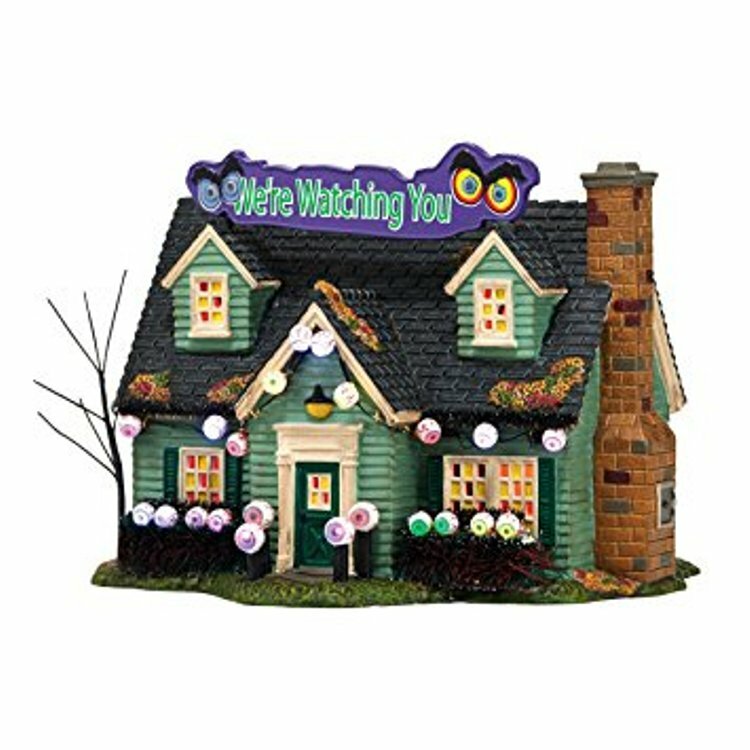 Display wall signs inside and outside of your home to let your friends, family and neighbors know that your favorite holiday is coming up soon. 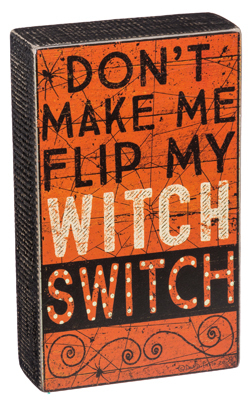 You can even dry your dishes with Halloween kitchen towels while you breathe in the heavenly pumpkin-scented candle burning on your kitchen counter. 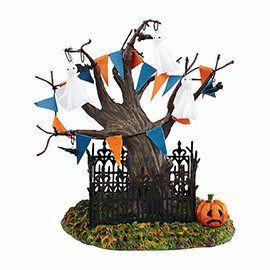 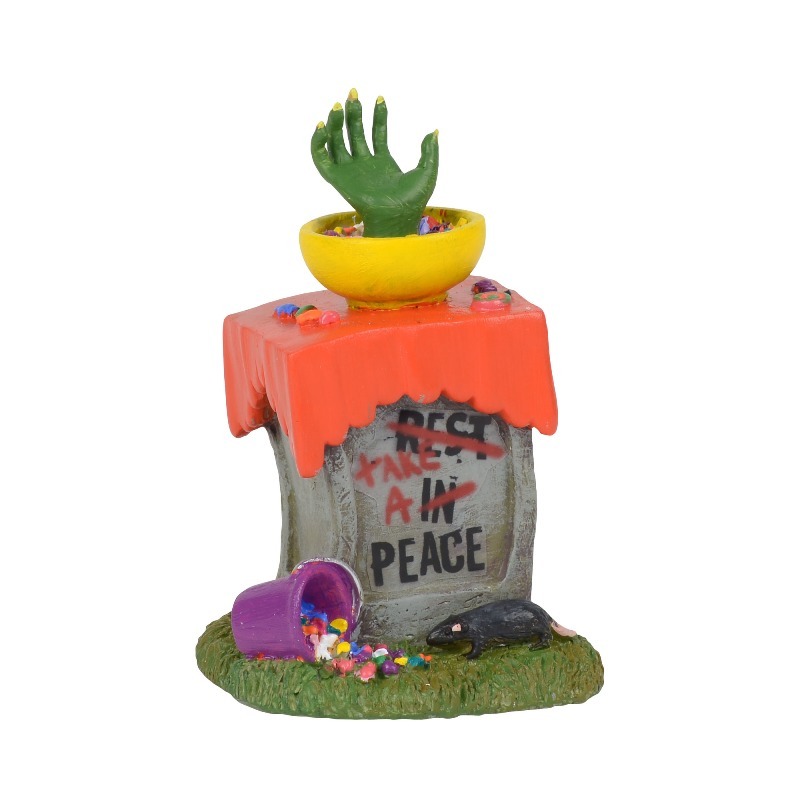 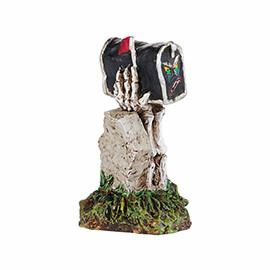 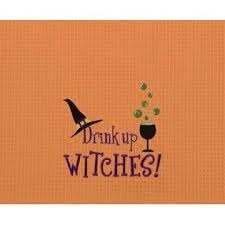 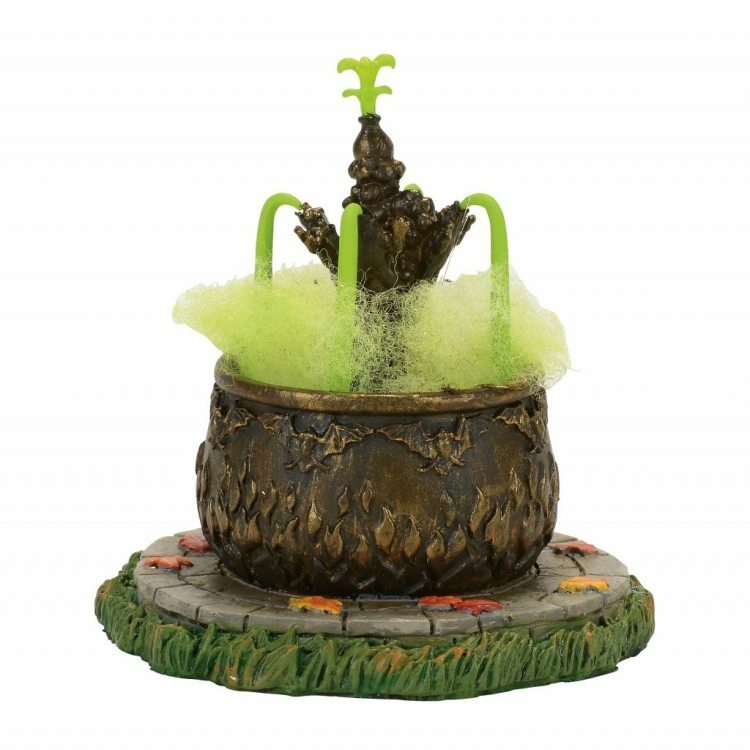 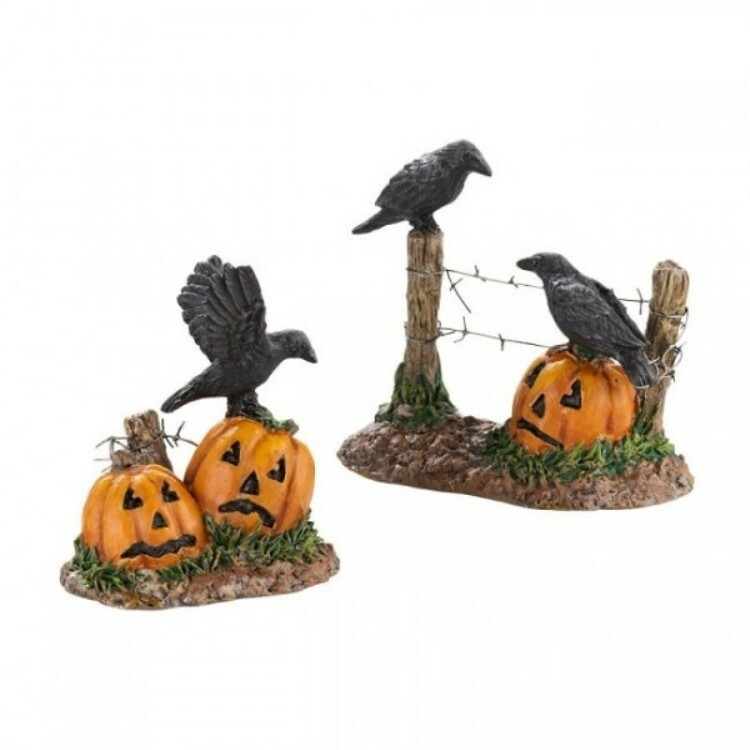 You can even use our Halloween decor to keep your favorite holiday alive throughout the rest of the year. 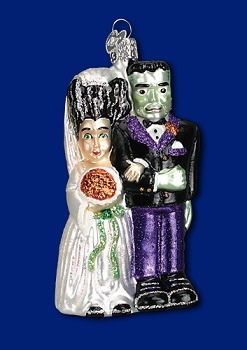 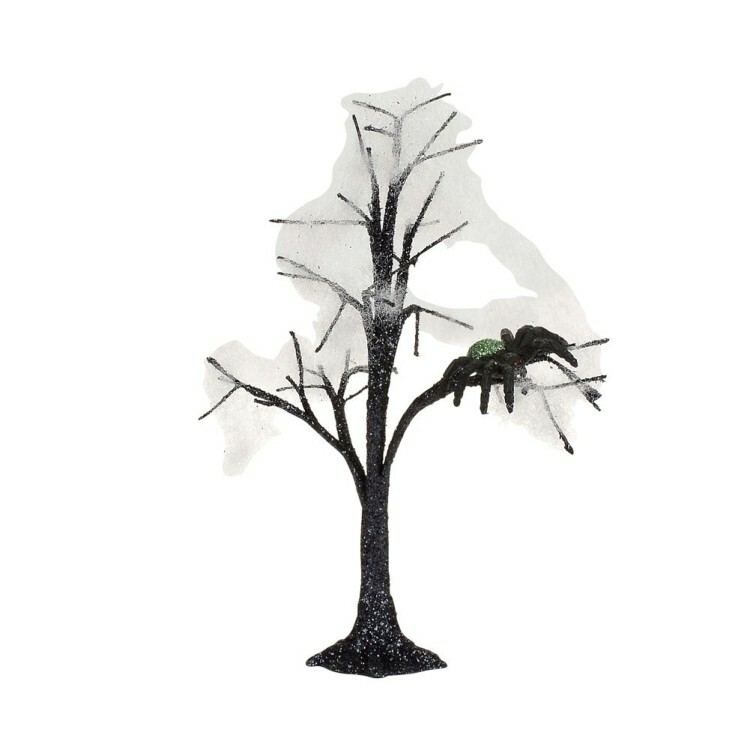 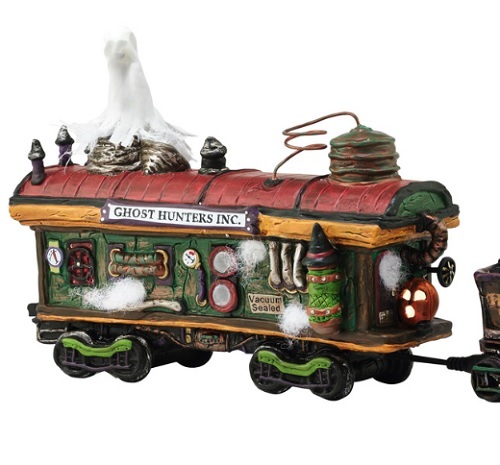 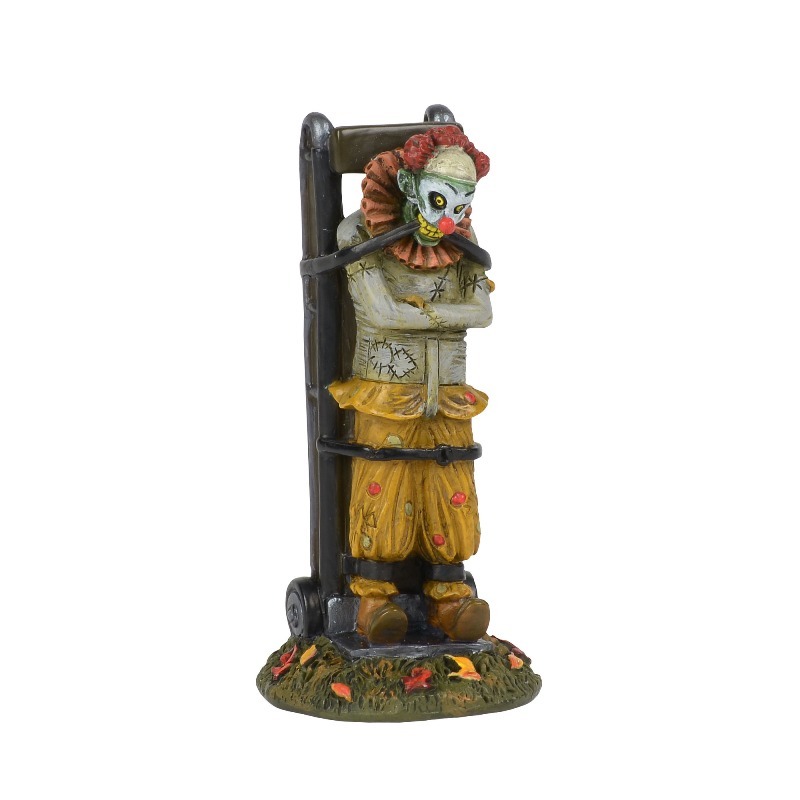 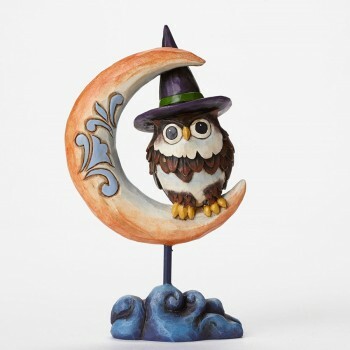 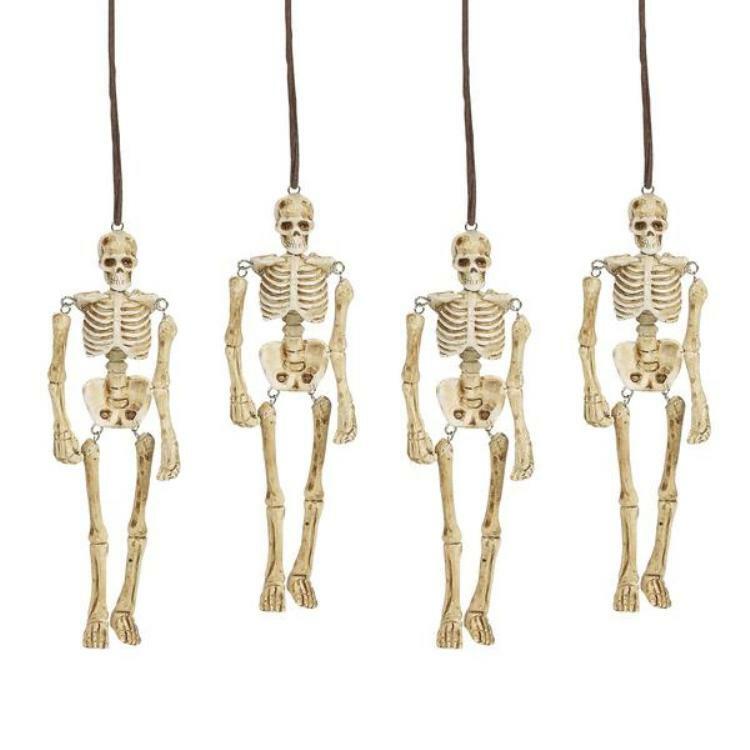 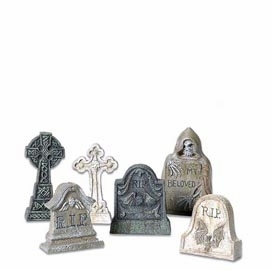 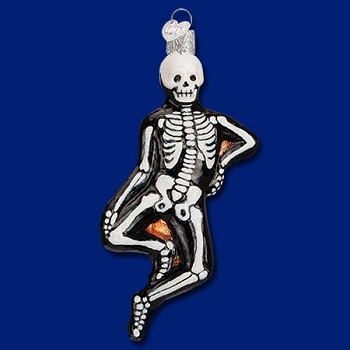 Shop our selection of Halloween Christmas ornaments to find the perfect spooky additions to your traditional Christmas tree. 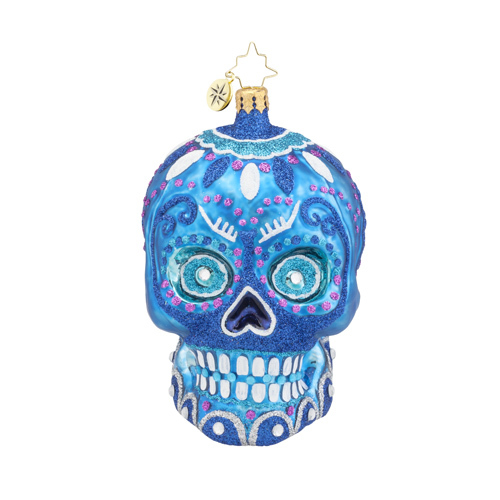 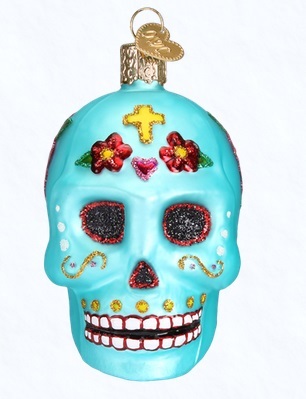 Choose from classic Halloween symbols such as jack o’ lanterns, black cats, ghosts and witches or opt for a less-traditional Day of the Dead sugar skull ornament. 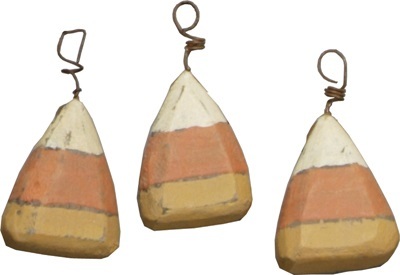 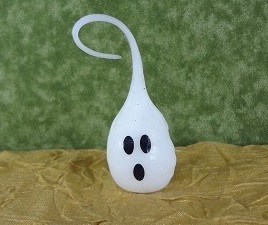 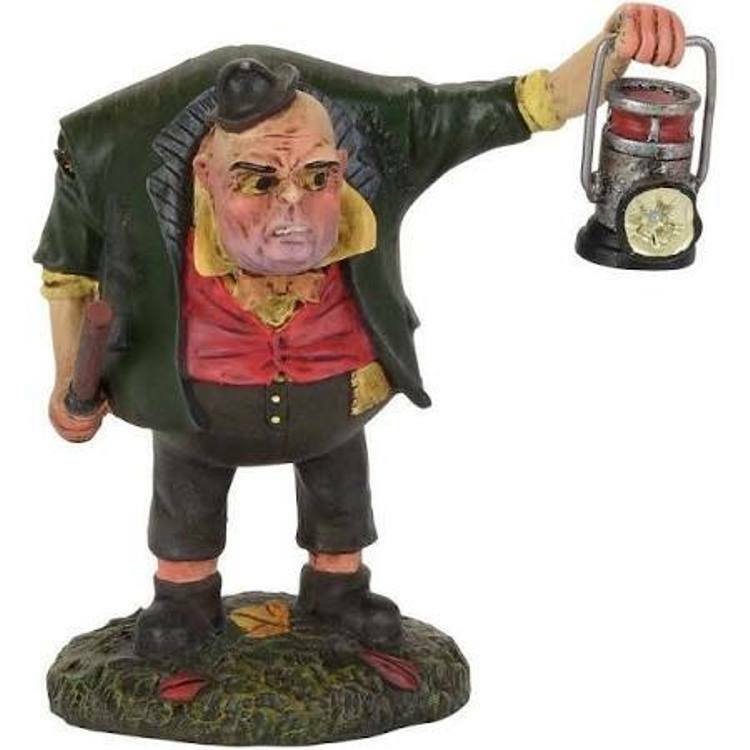 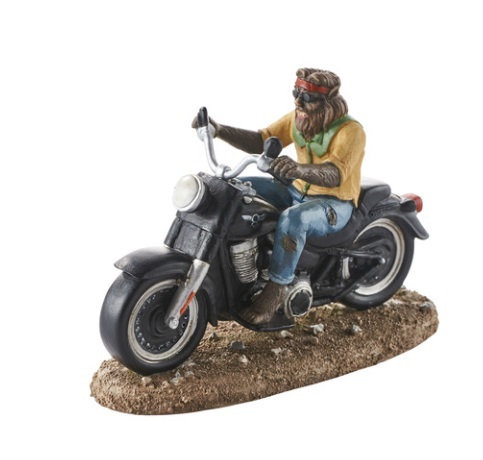 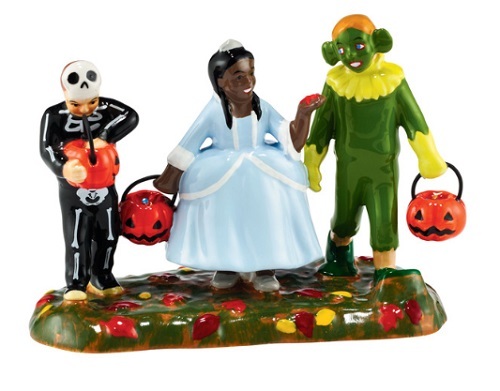 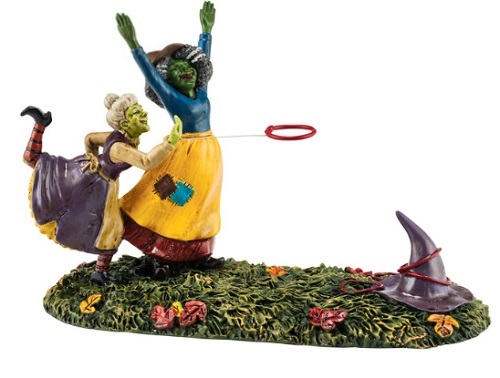 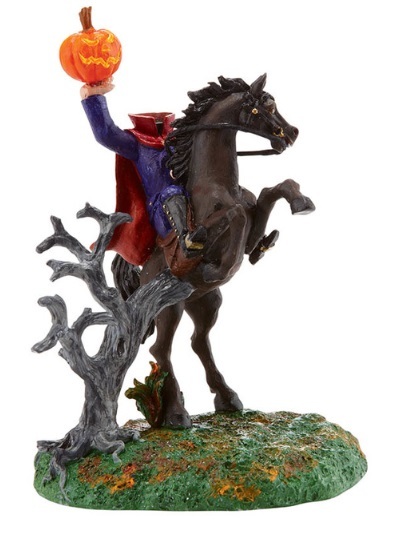 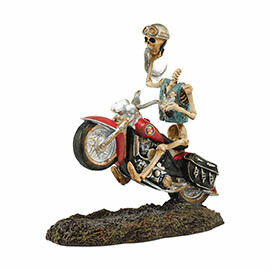 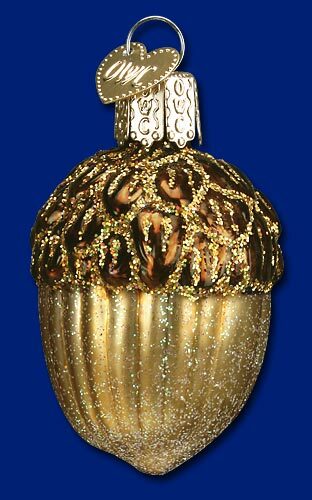 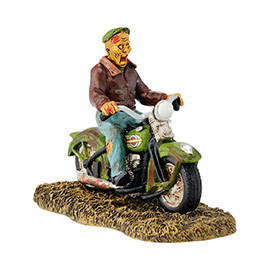 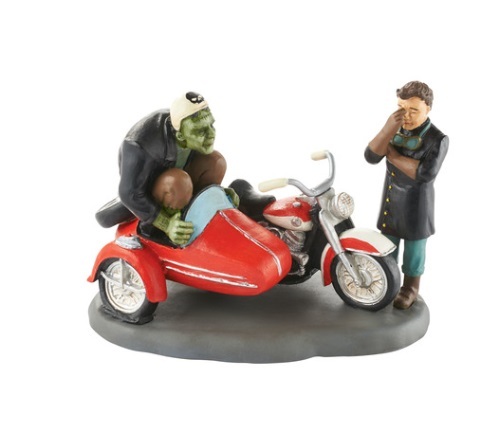 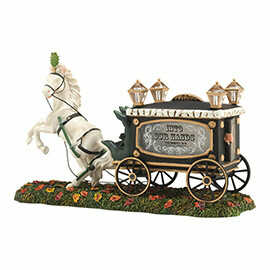 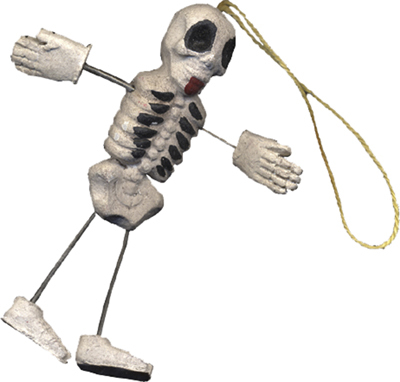 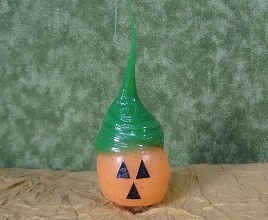 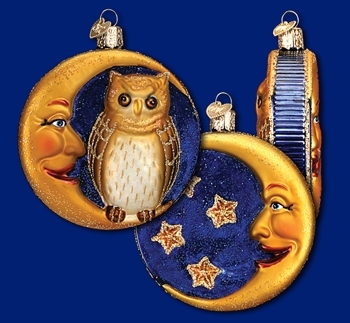 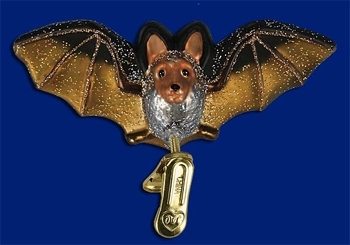 You’ll even find blown glass, hand-painted Old World Christmas Halloween ornaments in our selection. 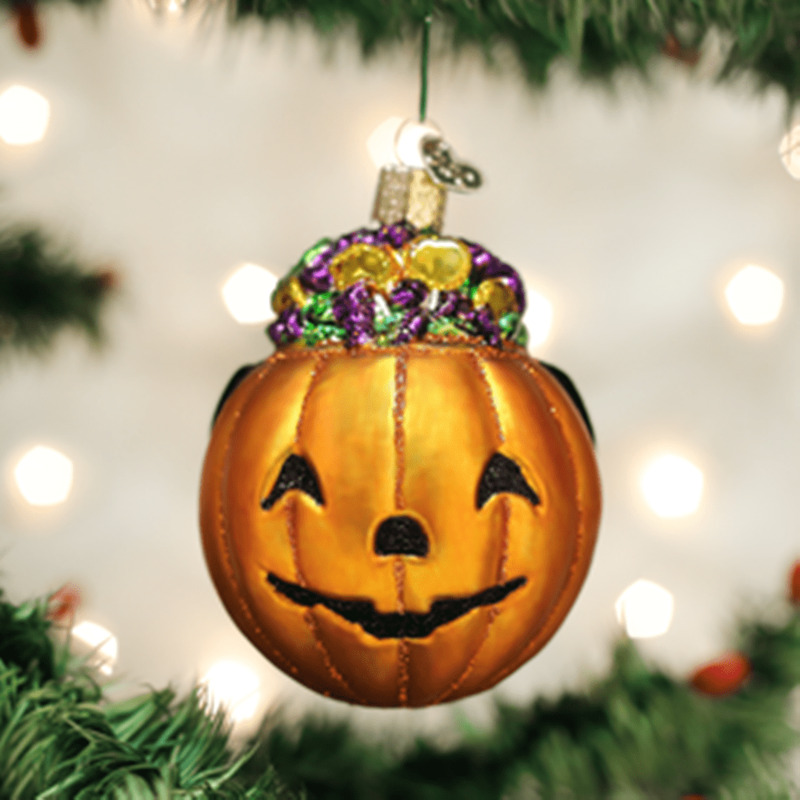 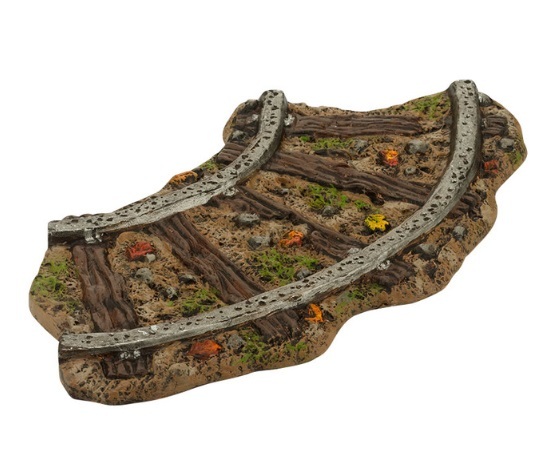 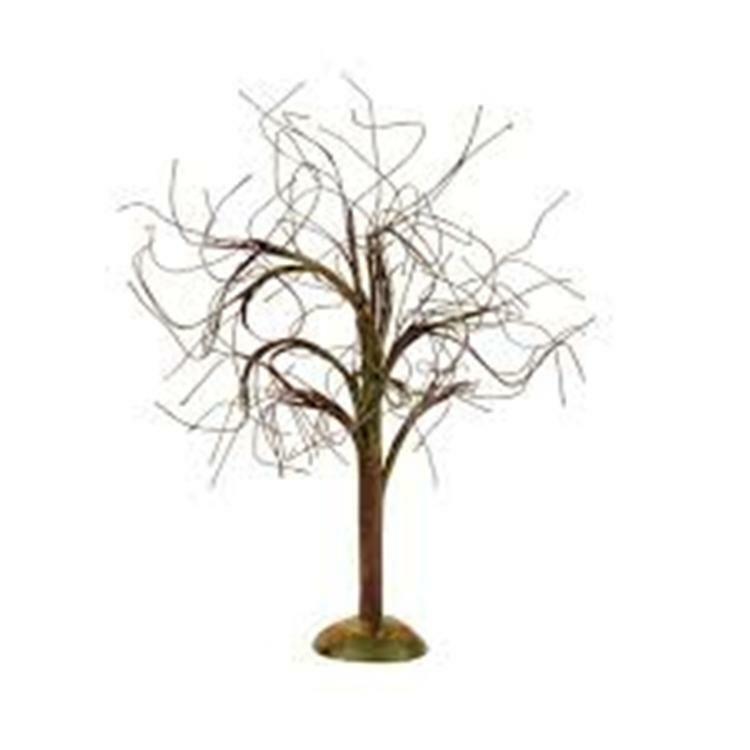 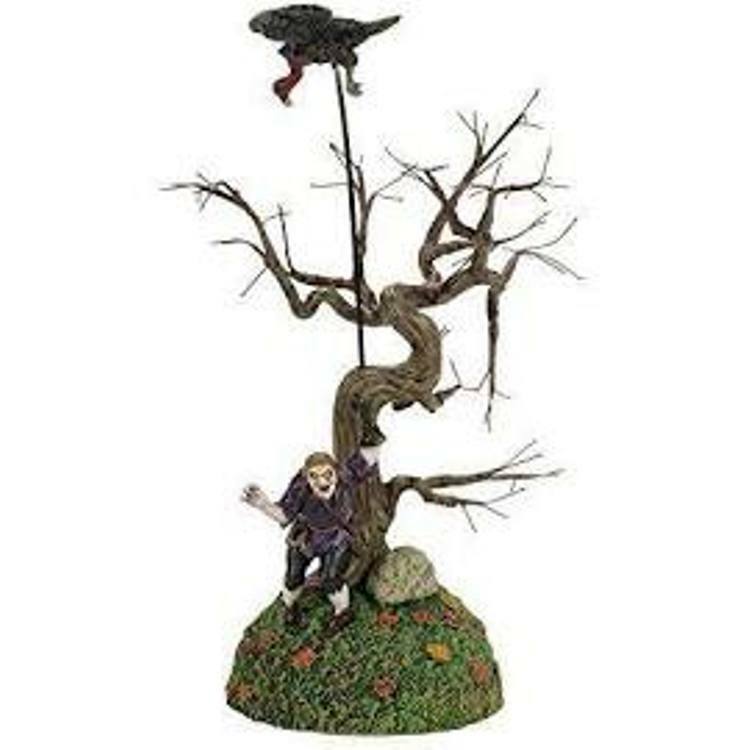 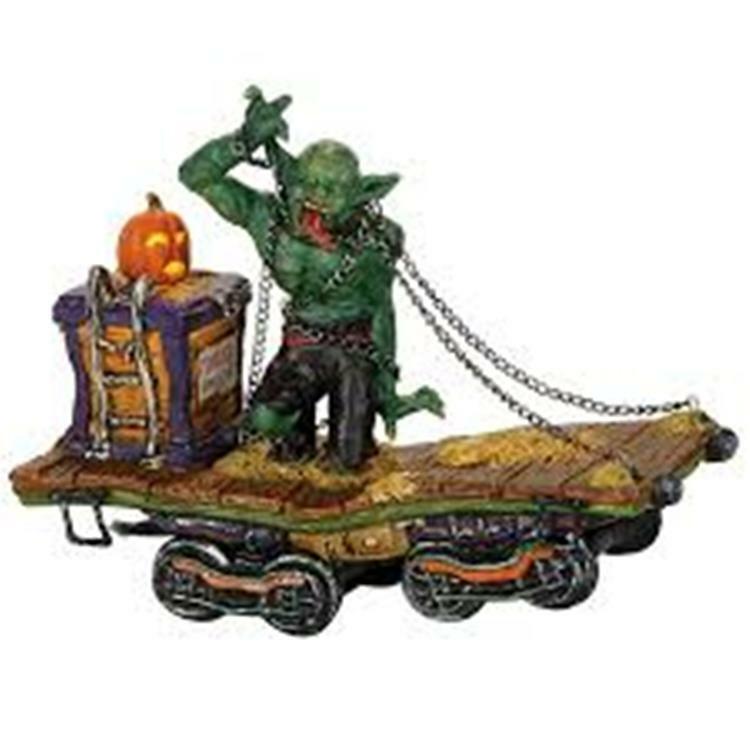 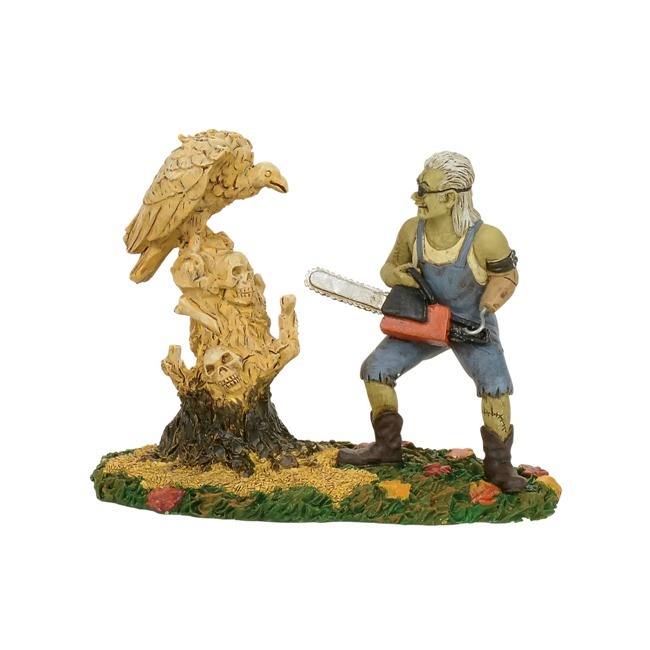 If you just can’t wait until Christmas to display your new ornaments, we also offer Halloween ornament tree options that will fit right in with your fall decor.